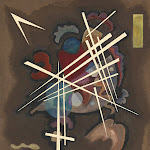 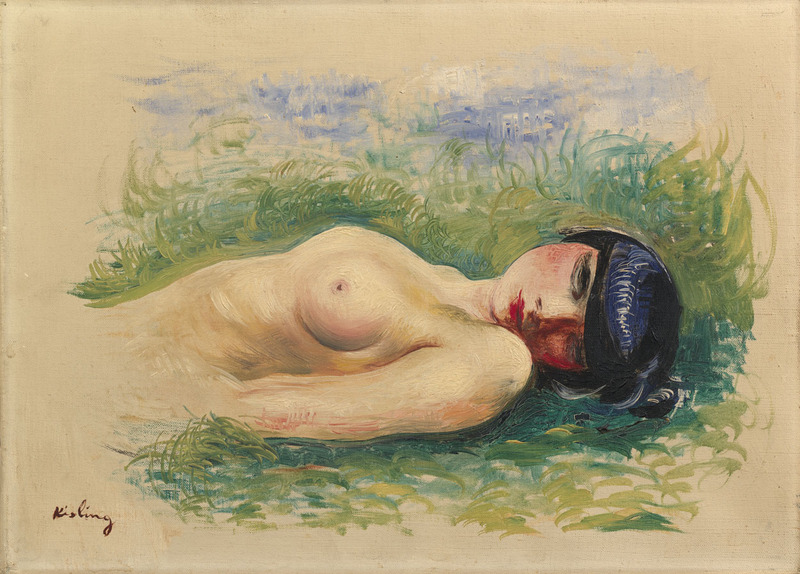 Born in Kraków, Austria-Hungary, he studied at the School of Fine Arts in Kraków. 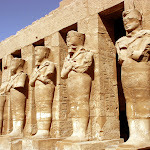 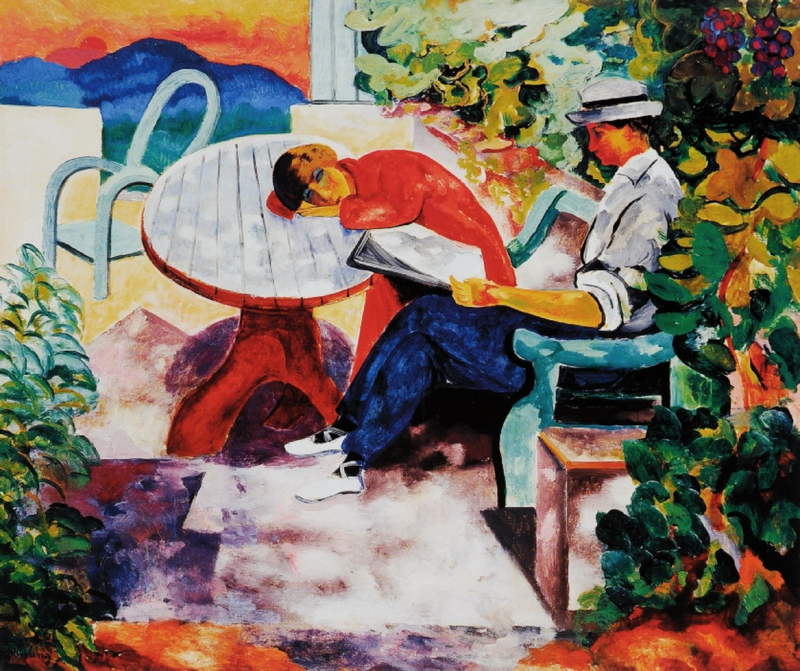 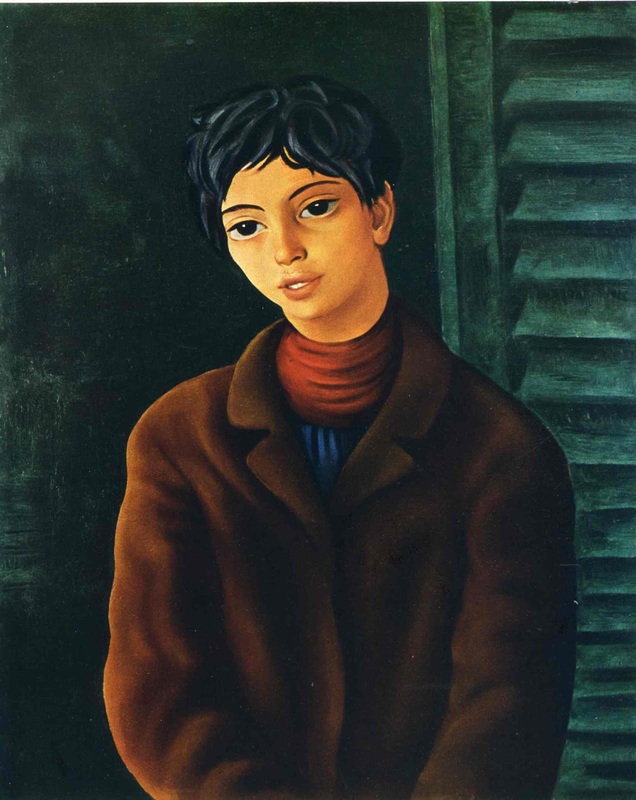 His teachers encouraged the young man to go to Paris, France, considered the international center for artistic creativity in the early 20th century. 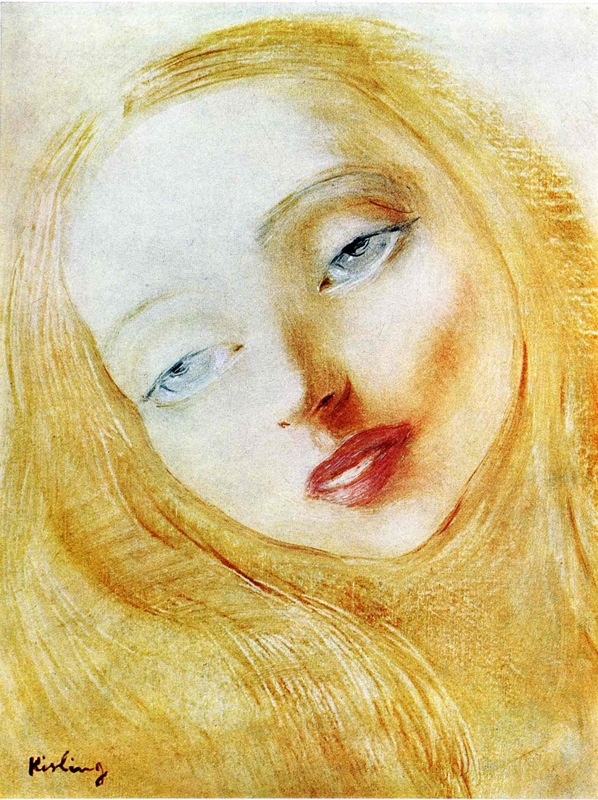 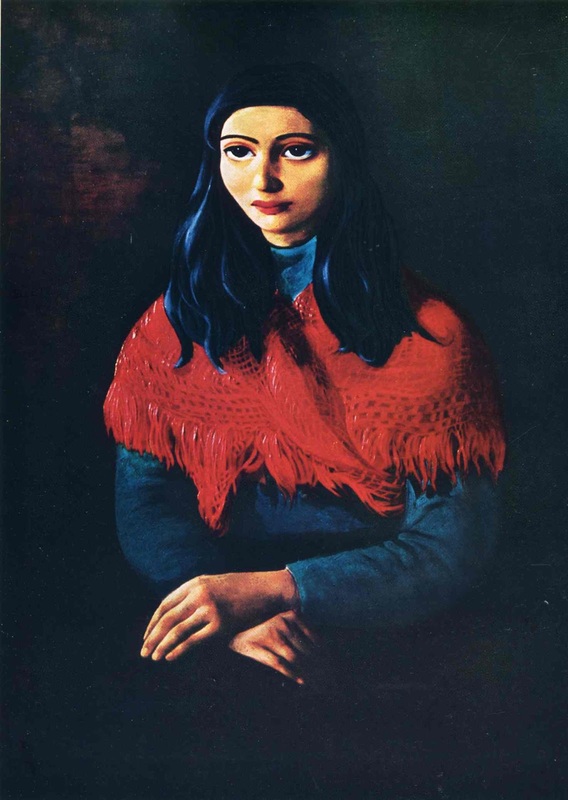 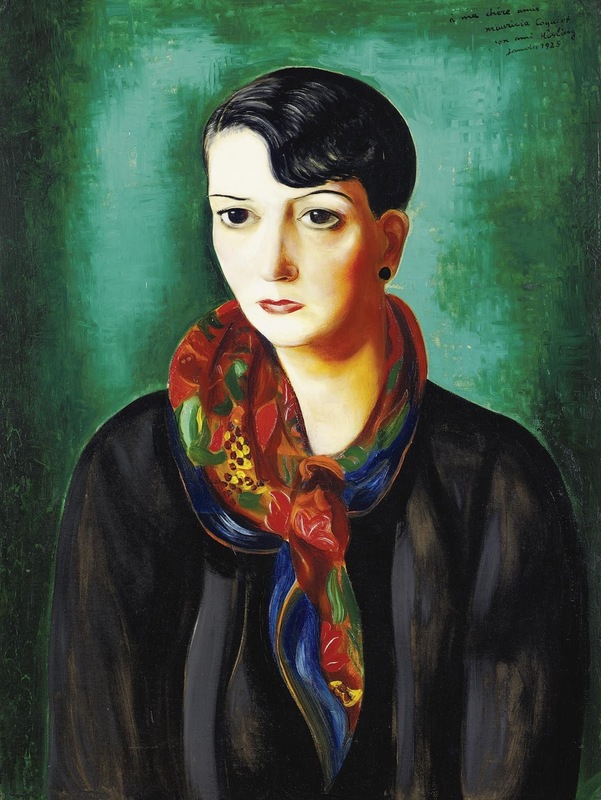 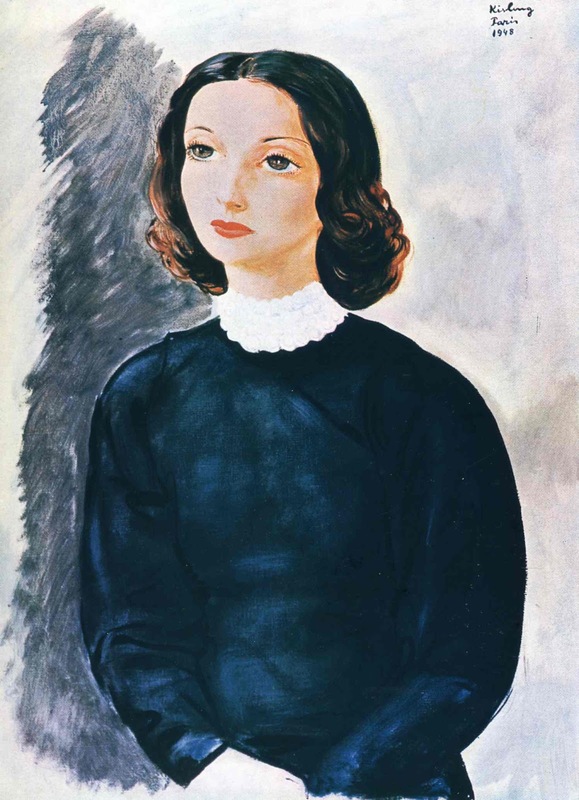 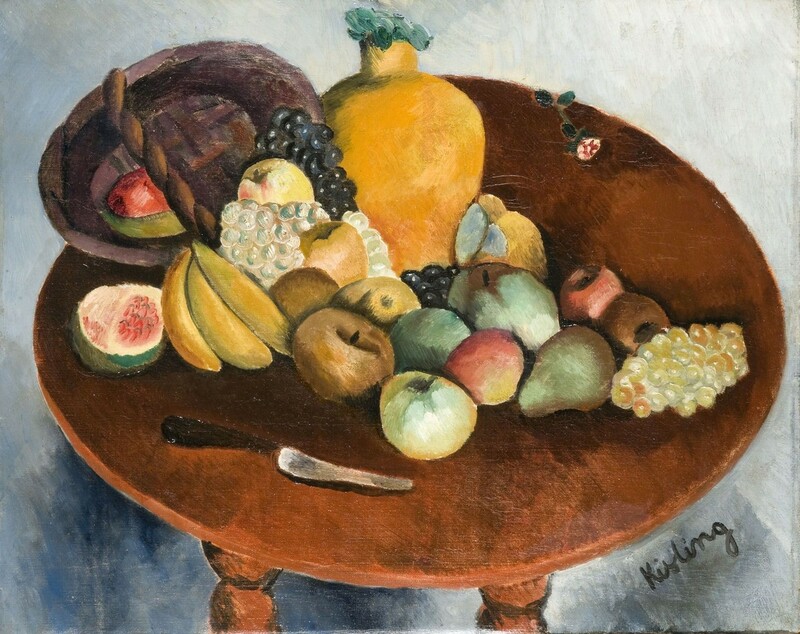 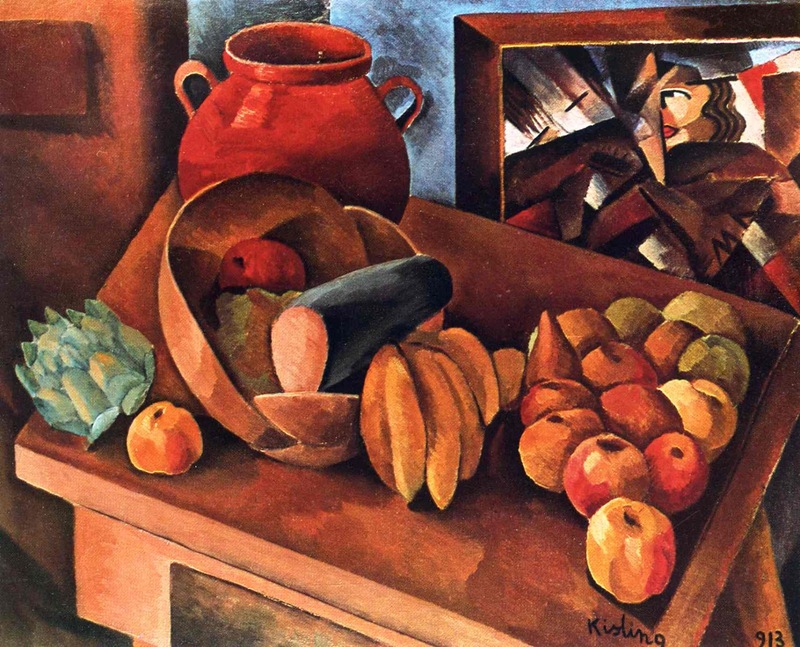 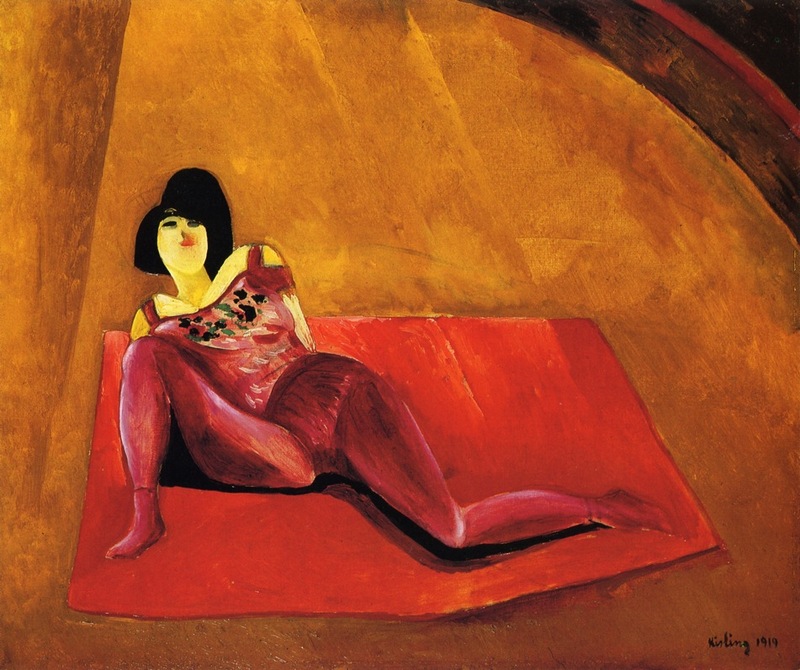 In 1910, Kisling moved to Montmartre in Paris, and a few years later to Montparnasse; he joined an émigré community made up of artists from eastern Europe as well as Americans and British. 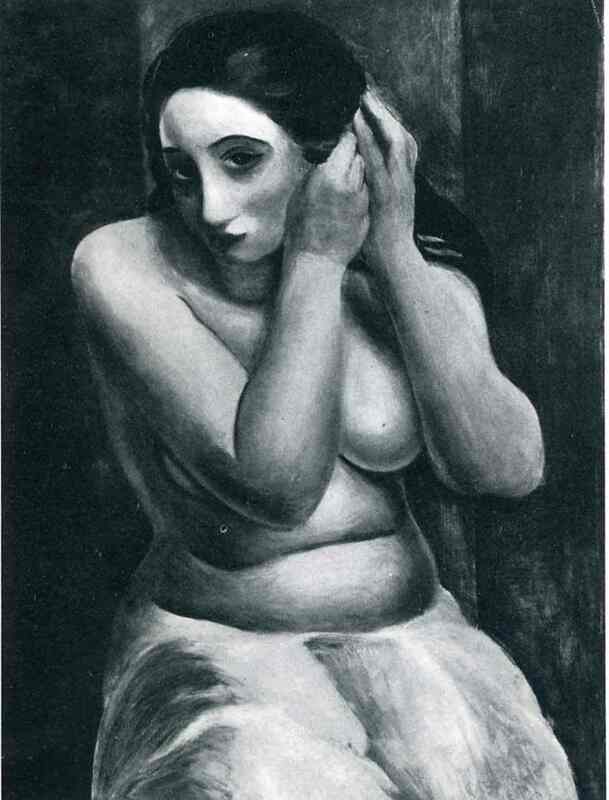 Most of the French kept to themselves, although the artistic community was international. 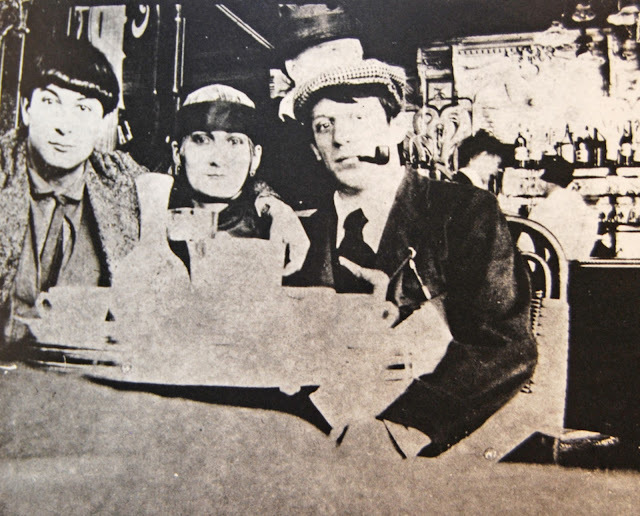 At the outbreak of World War I, he volunteered for service in the French Foreign Legion. 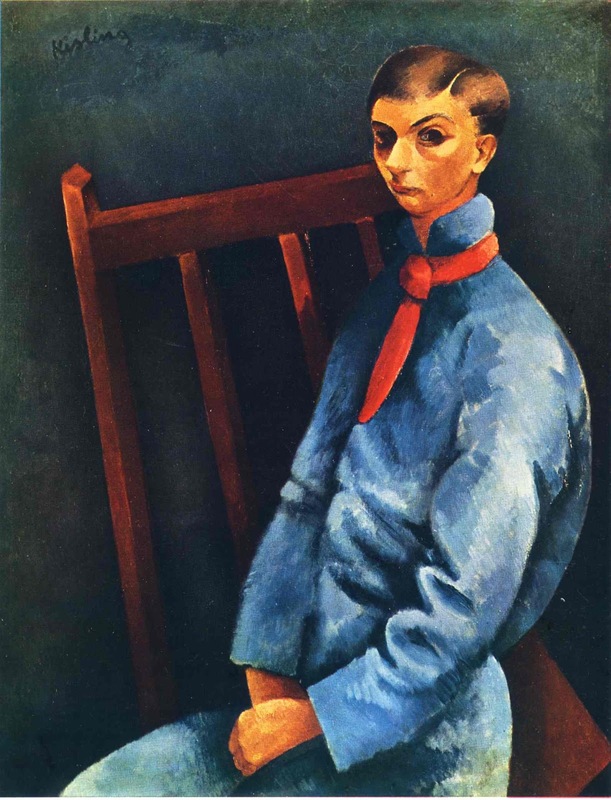 After being seriously wounded in 1915 in the Battle of the Somme, he was awarded French citizenship. 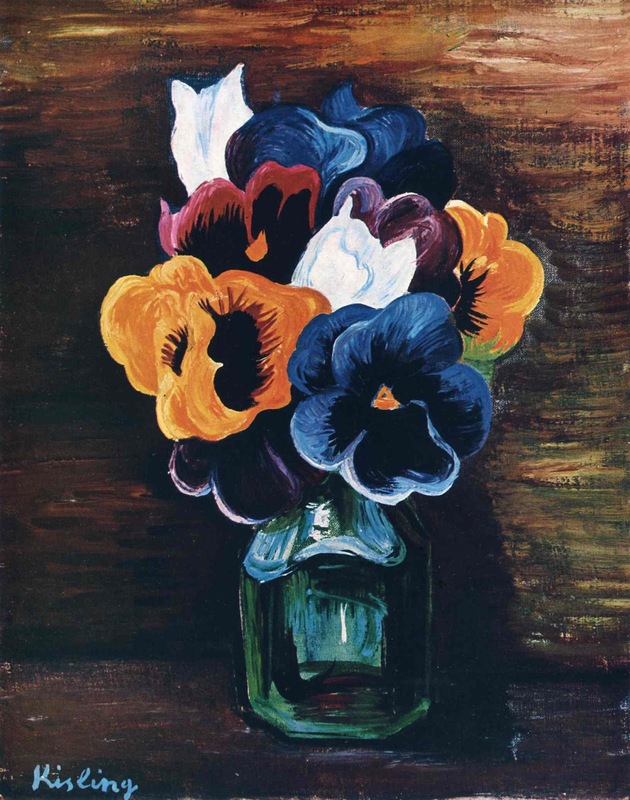 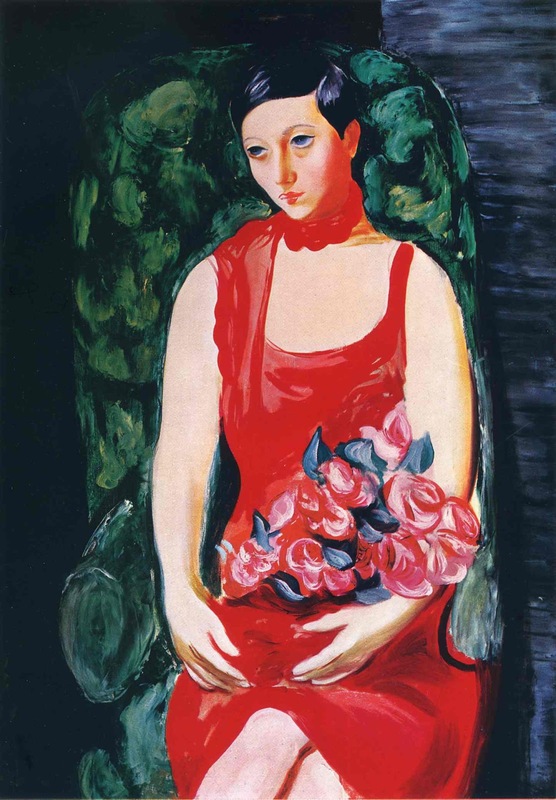 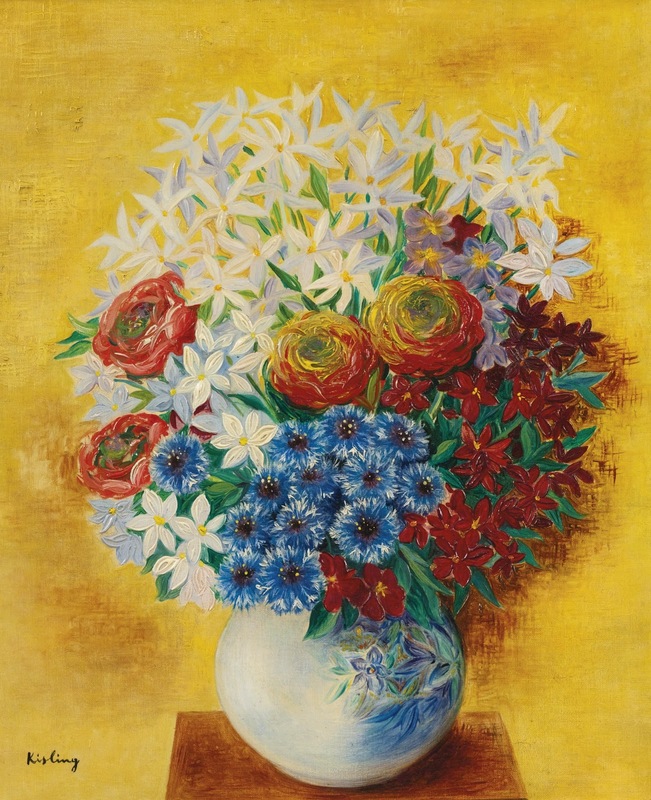 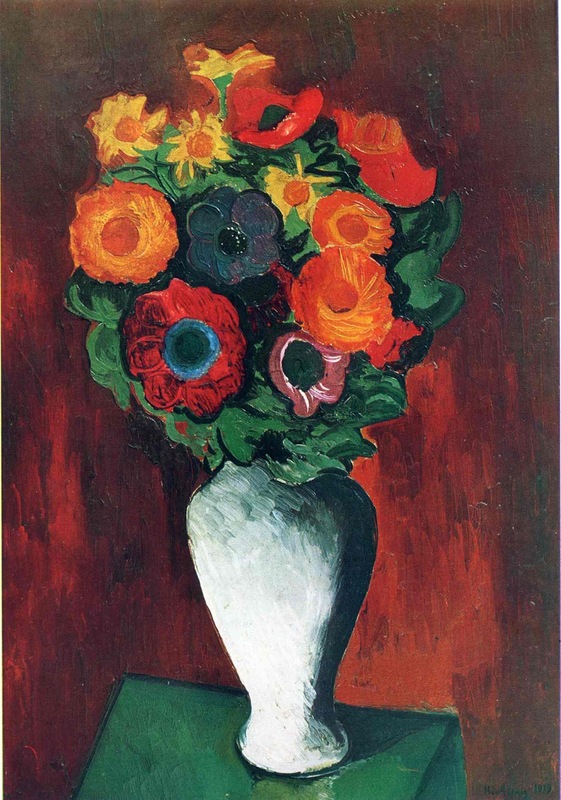 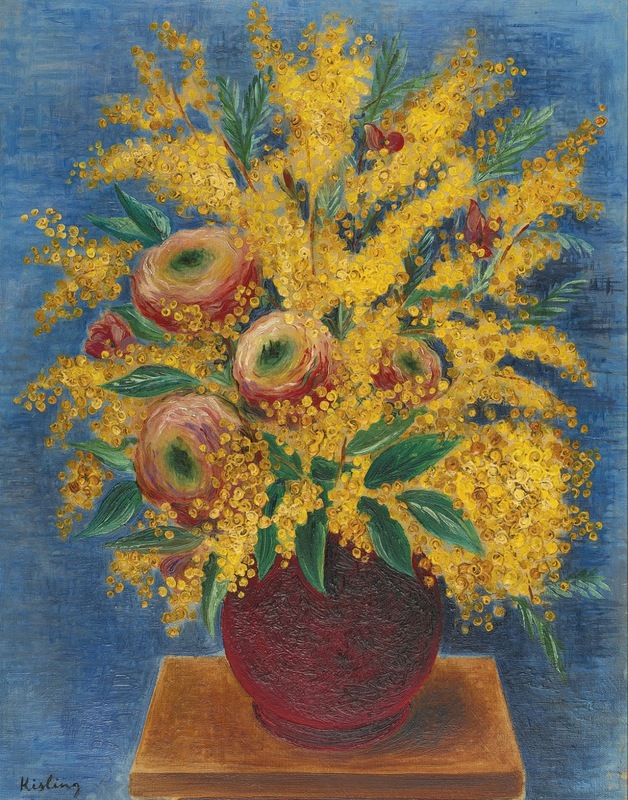 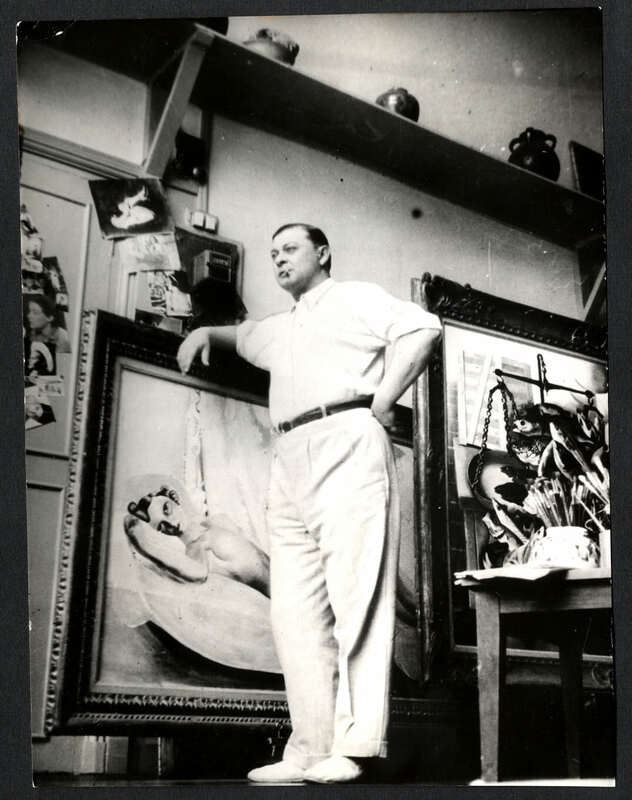 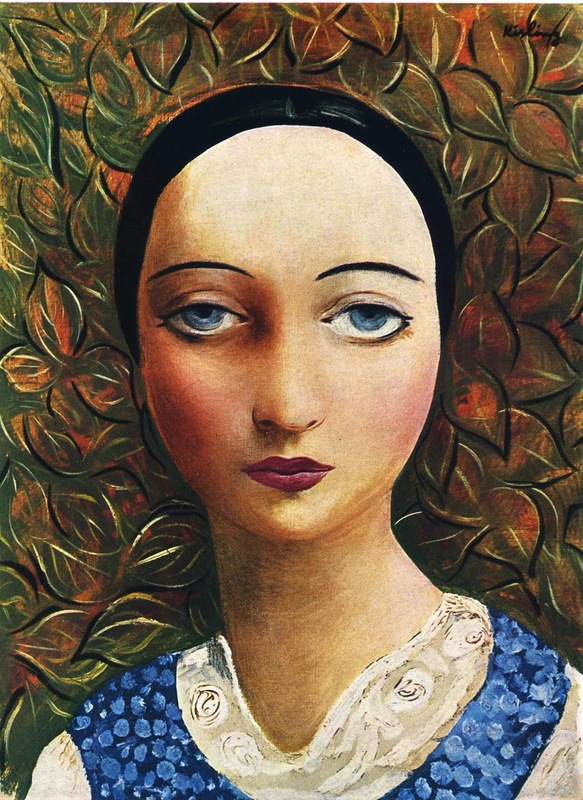 Kisling lived and worked in Montparnasse, where he was part of its renowned artistic community. 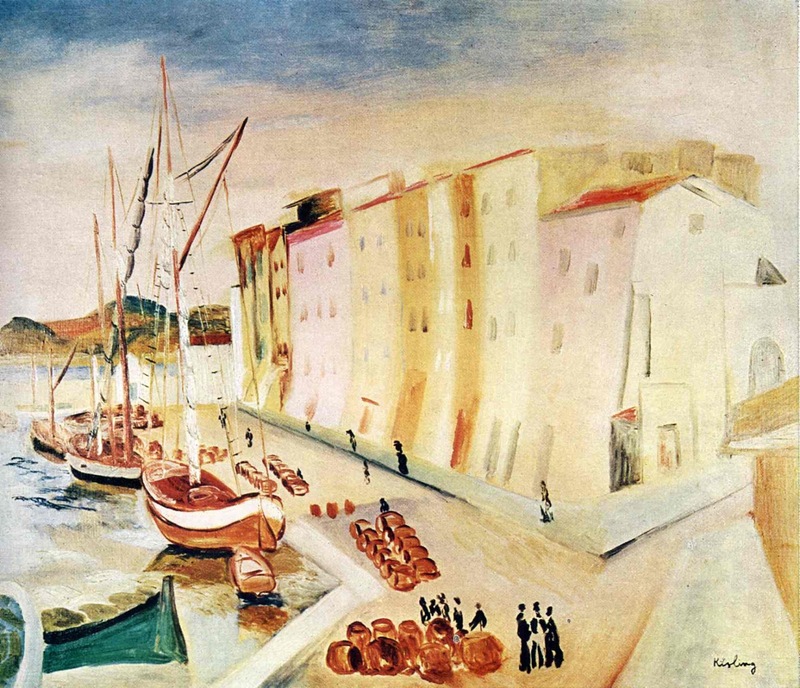 For a short time he lived in the Bateau-Lavoir in Montmartre, and in 1911-12 spent nearly a year at Céret. 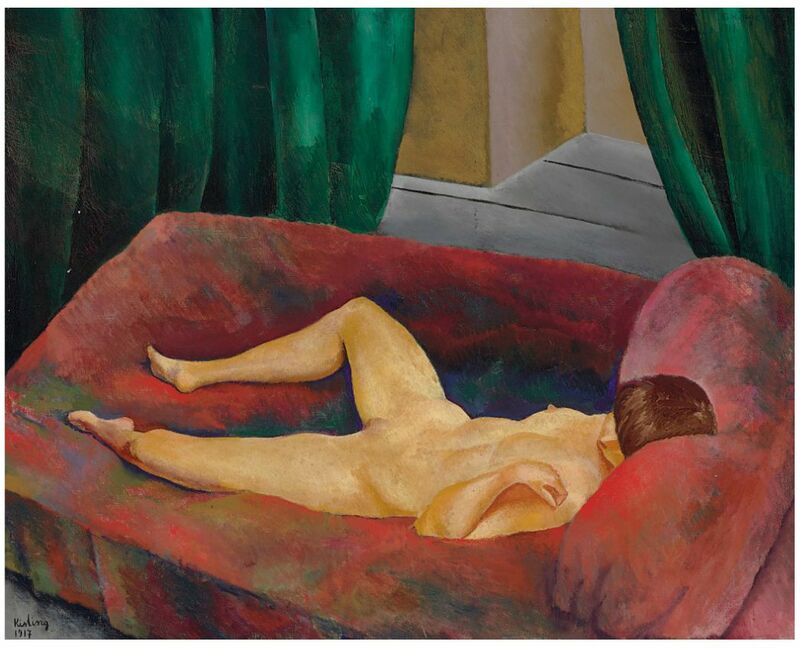 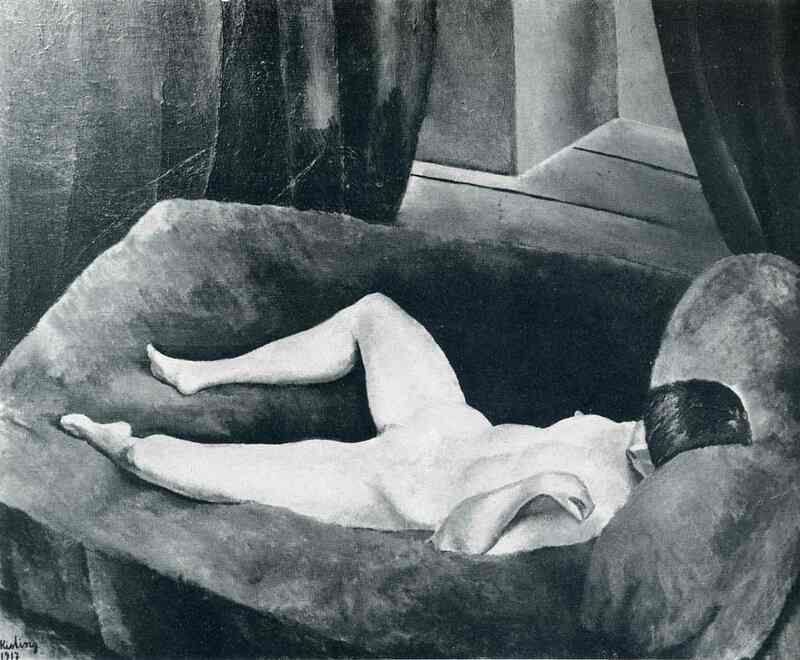 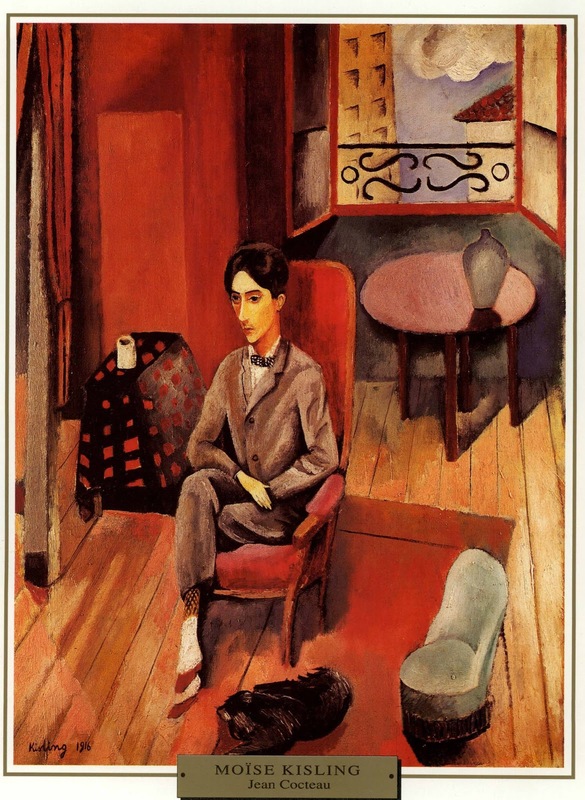 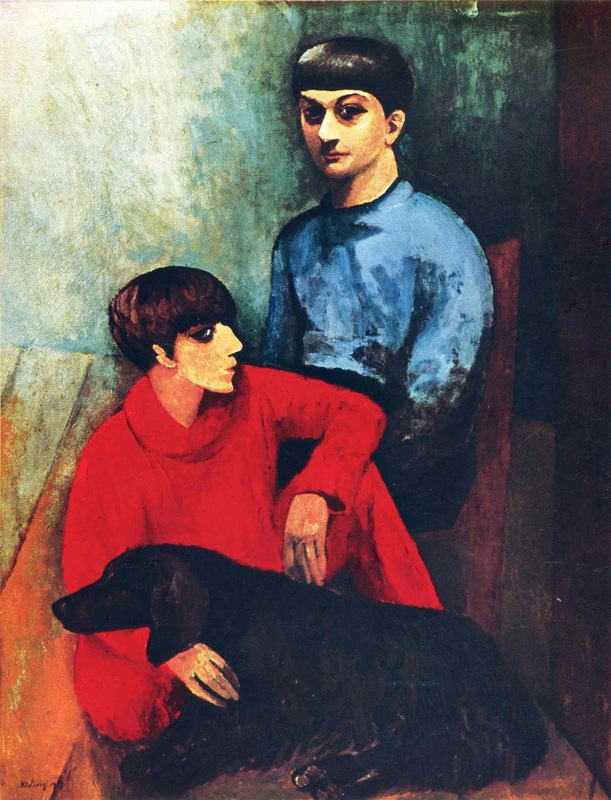 In 1913 he returned to Montparnasse, where he took a studio and lived for the next 27 years. 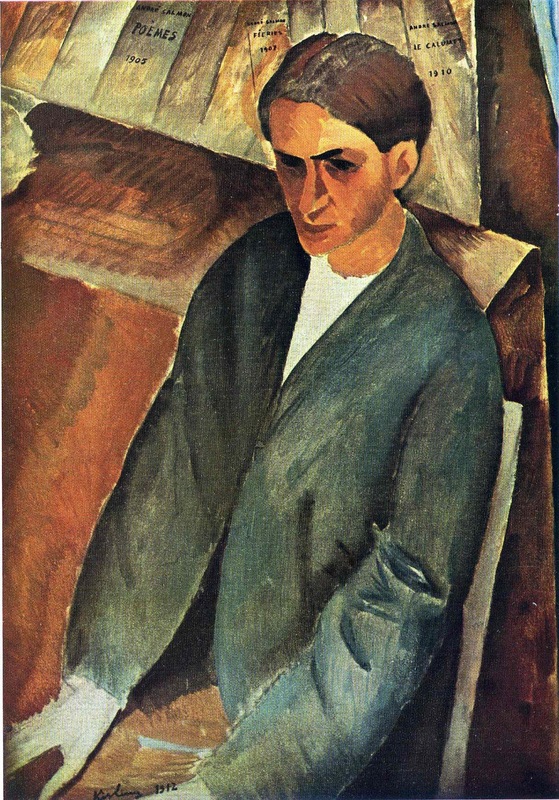 The artists Jules Pascin and later Amedeo Modigliani lived in the same building. 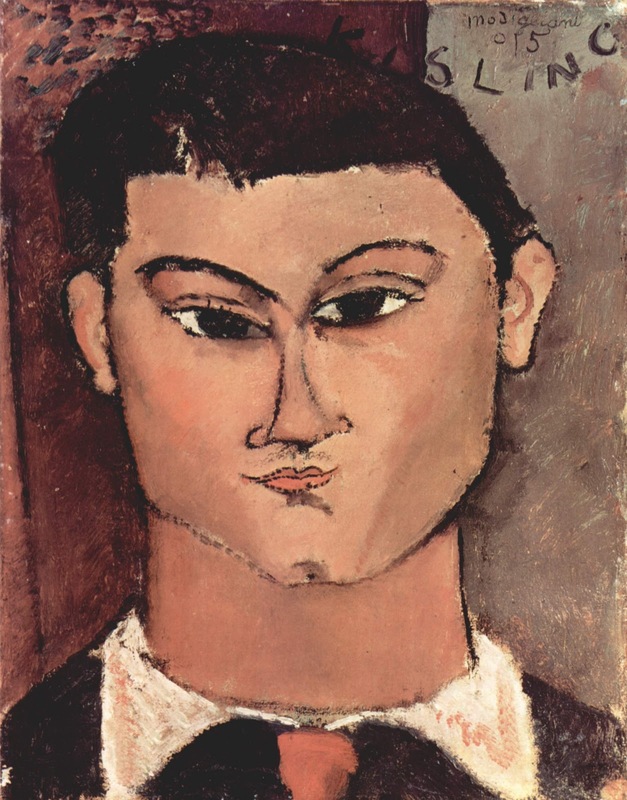 He became close friends with many of his contemporaries, including Modigliani, who painted a portrait of him in 1916 (in the collection of the Musée d'Art Moderne de la Ville de Paris). 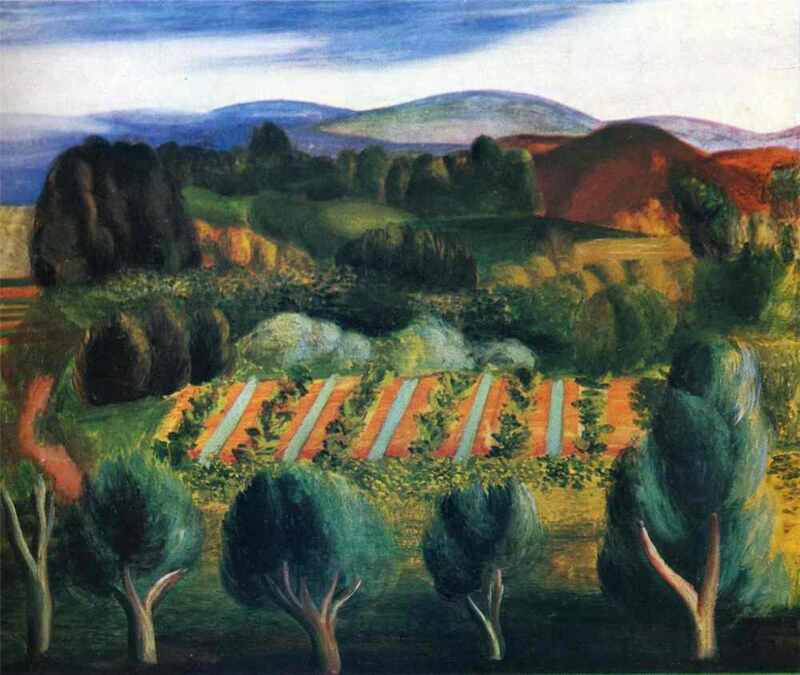 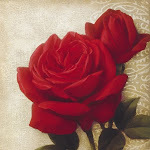 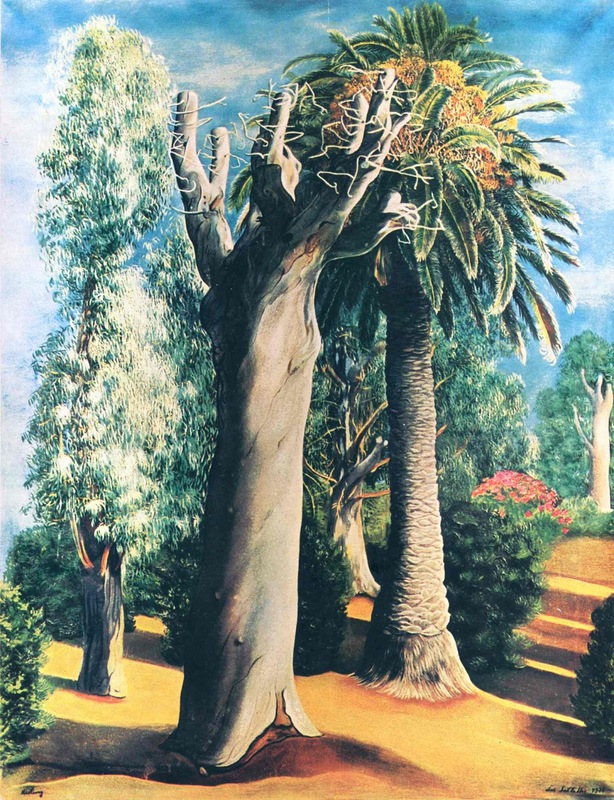 His style in painting landscapes is similar to that of Marc Chagall. 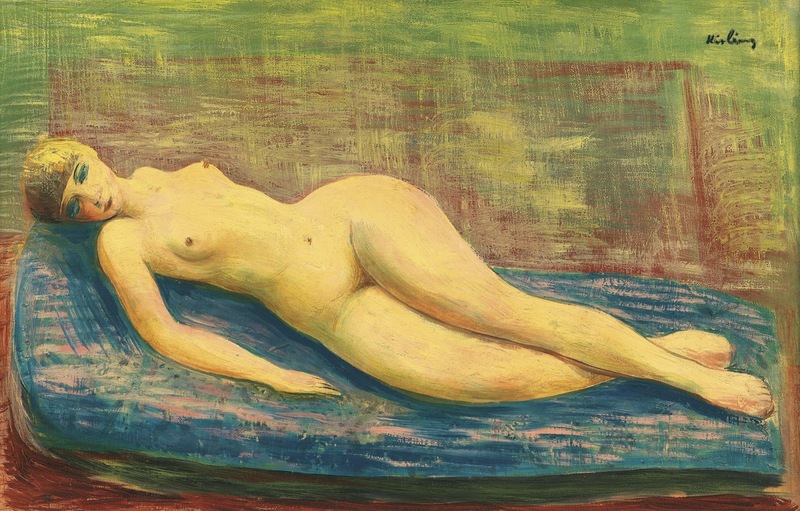 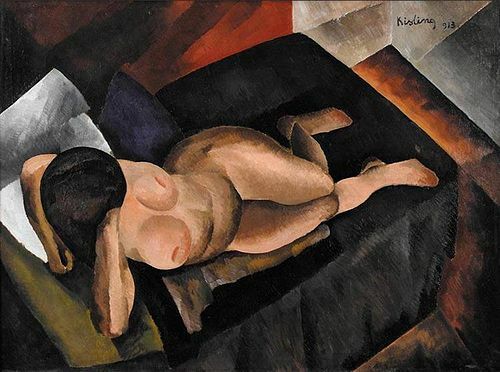 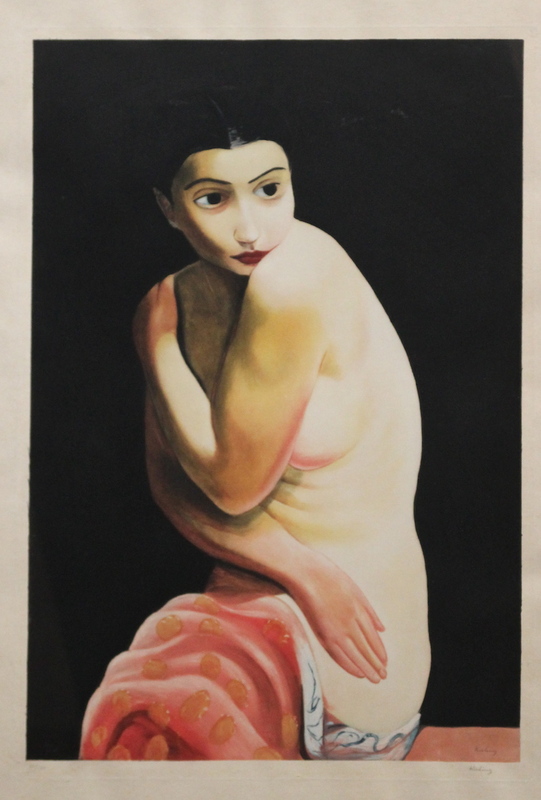 A master at depicting the female body, his surreal nudes and portraits earned him the widest acclaim. 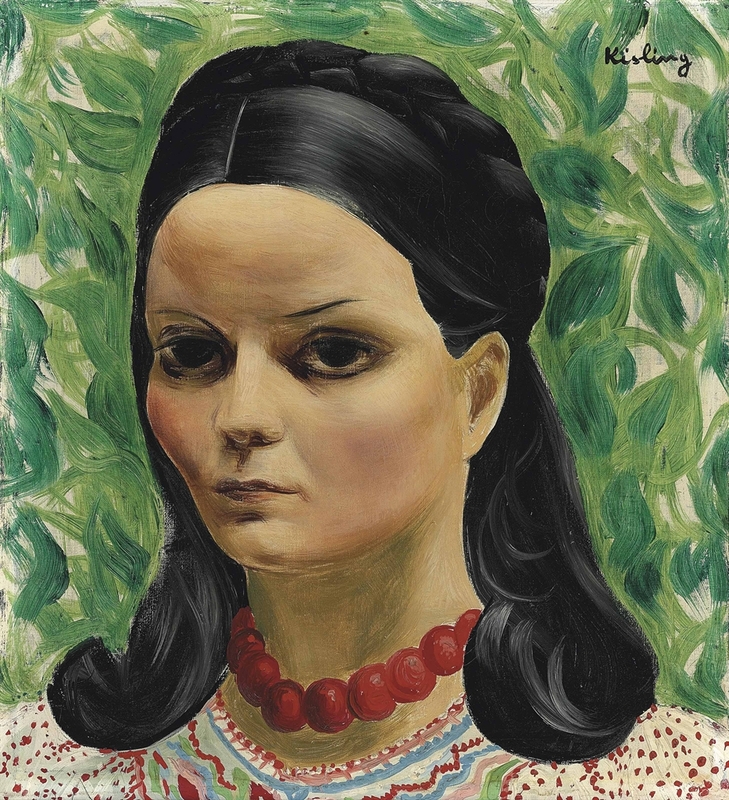 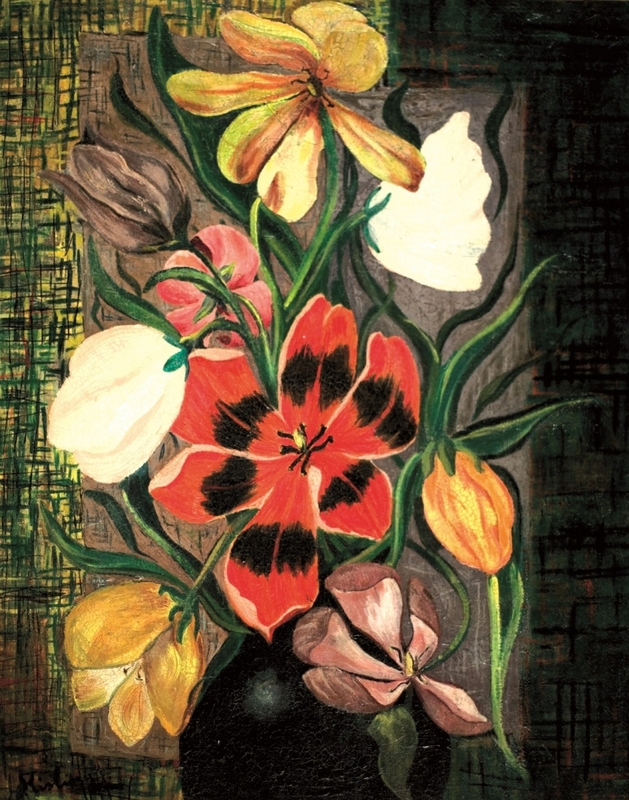 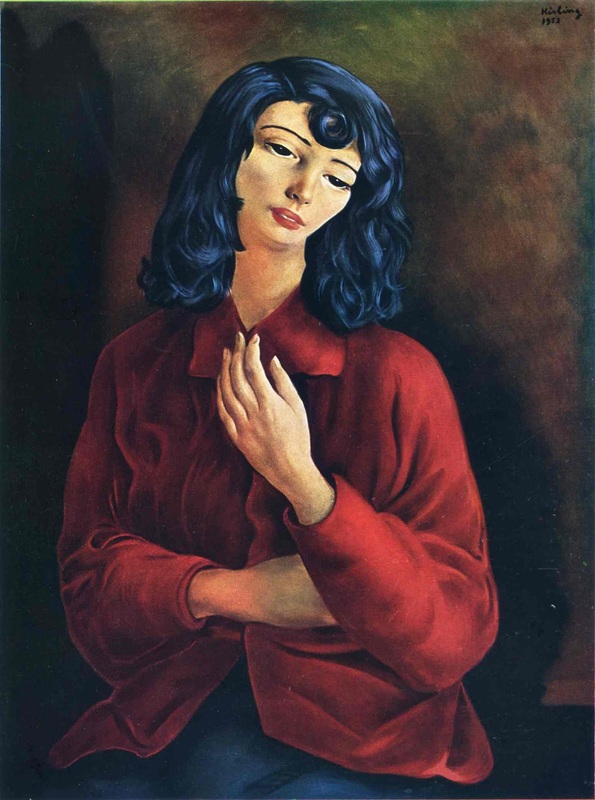 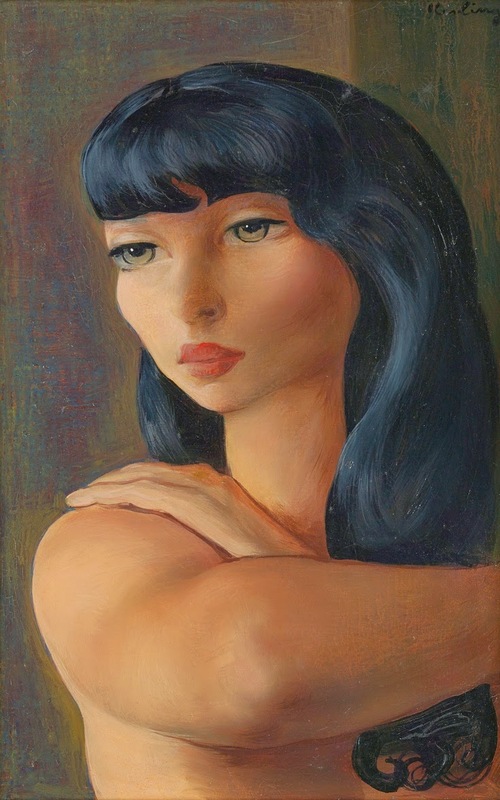 Kisling volunteered for army service again in 1940 during World War II, although he was 49. 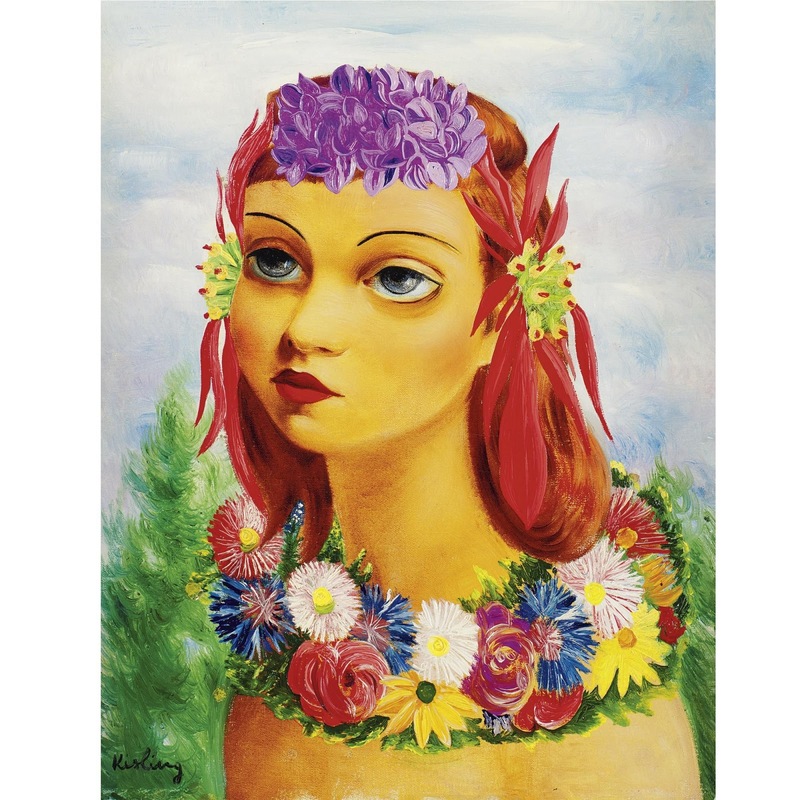 When the French Army was discharged at the time of the surrender to the Germans, Kisling emigrated to the United States. 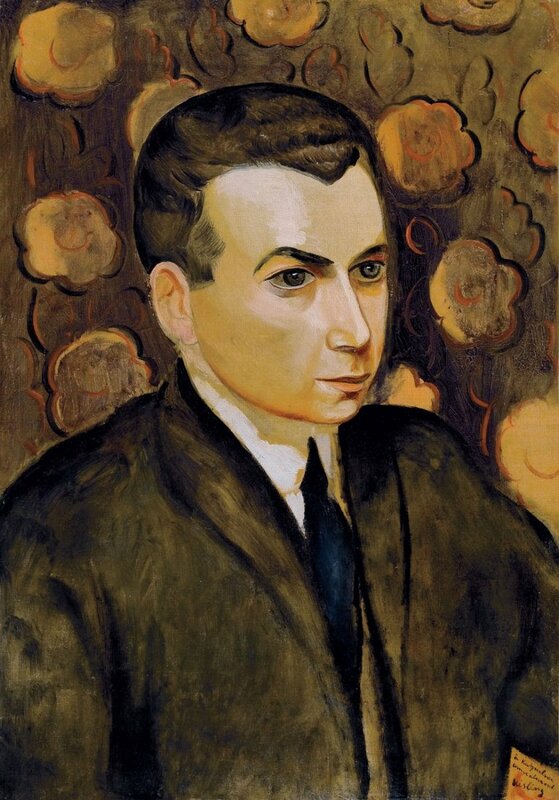 He rightly feared for his safety as a Jew in occupied France. 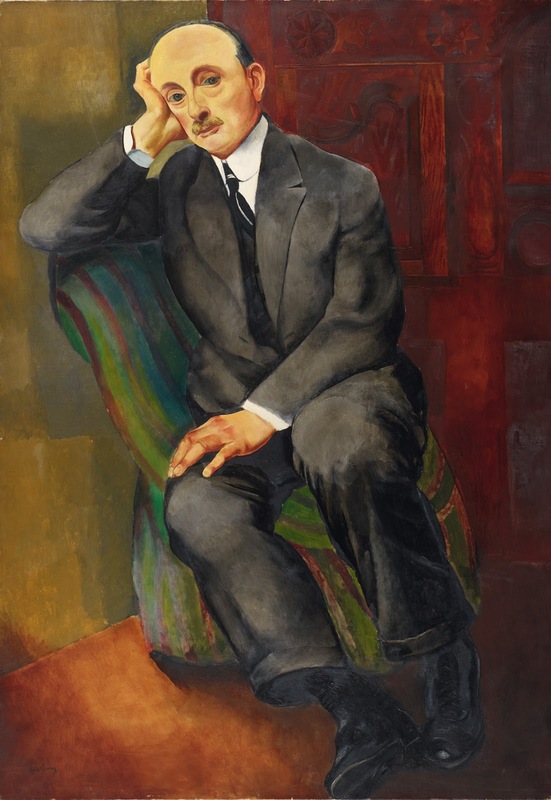 He exhibited in New York and Washington. 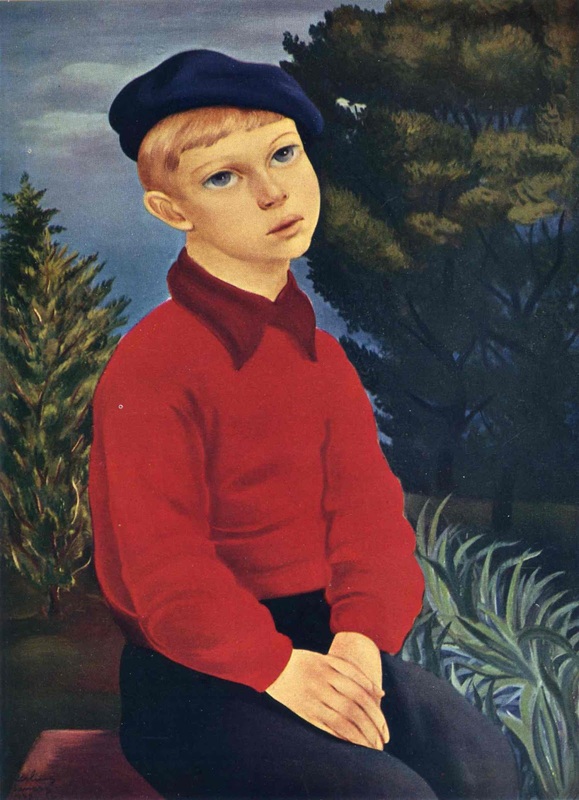 He settled in California, where he lived until 1946. Under the Vichy government, certain critics suggested too many foreigners, especially Jews, were diminishing French traditions. 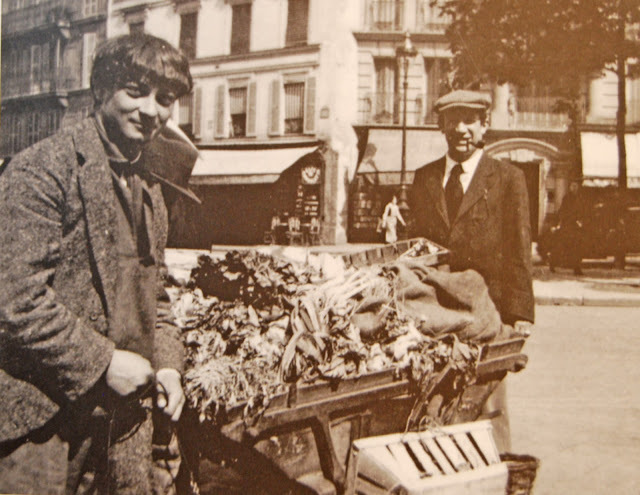 Their comments were part of a rise in anti-Semitism during the German occupation, resulting in French cooperation in the deportation and deaths of tens of thousands of foreign and French Jews in concentration camps. 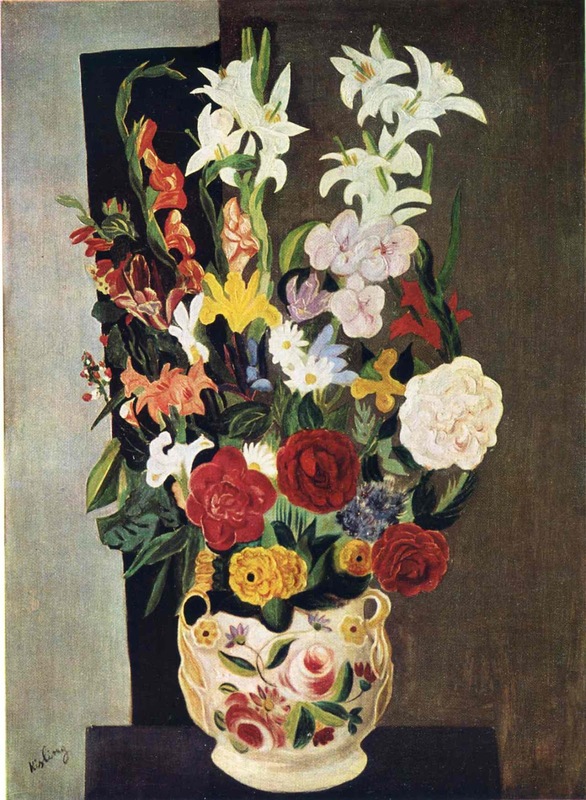 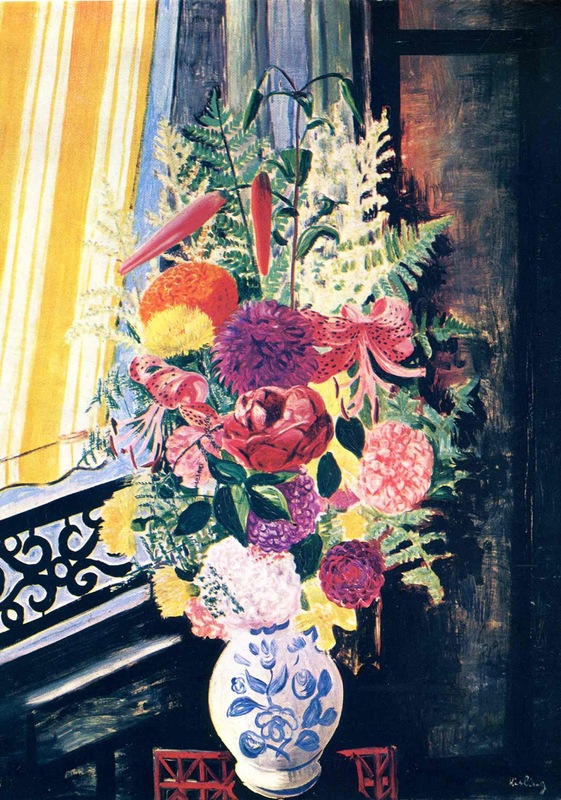 Kisling returned to France after the war and defeat of Germany. 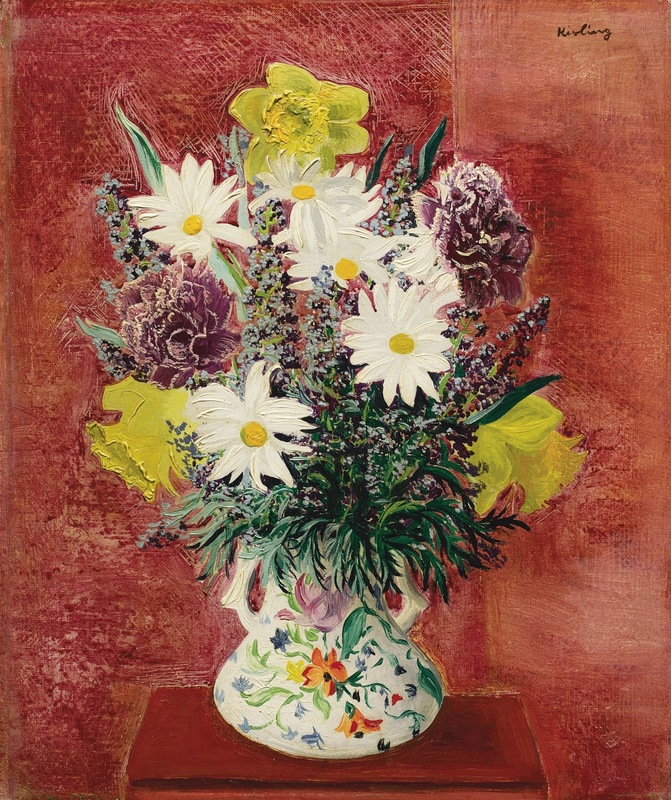 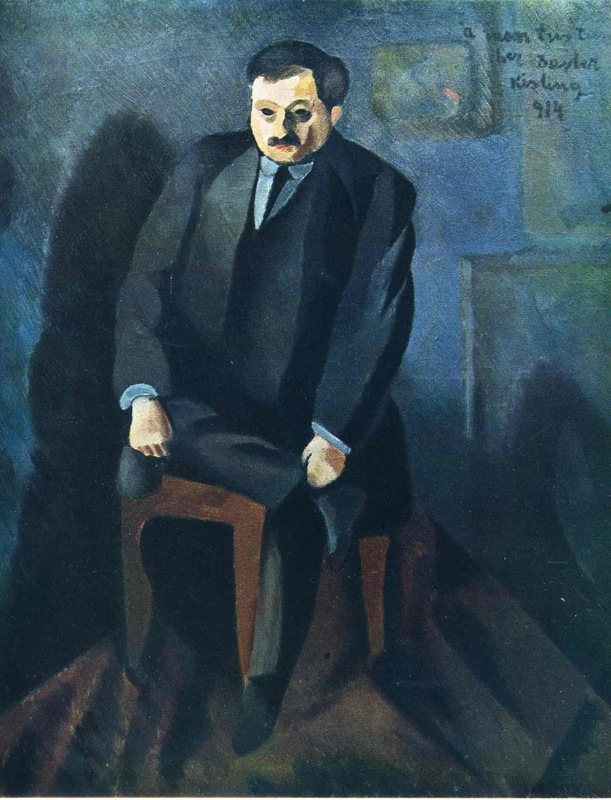 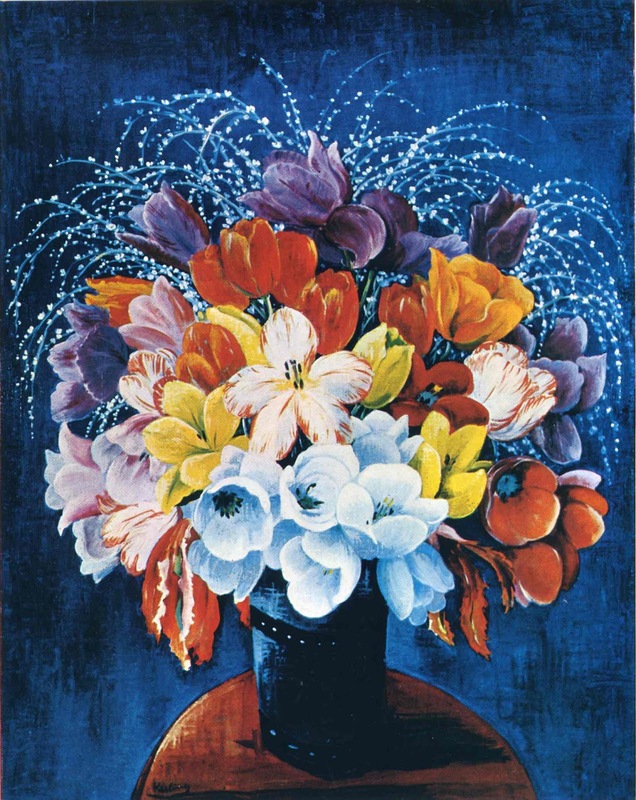 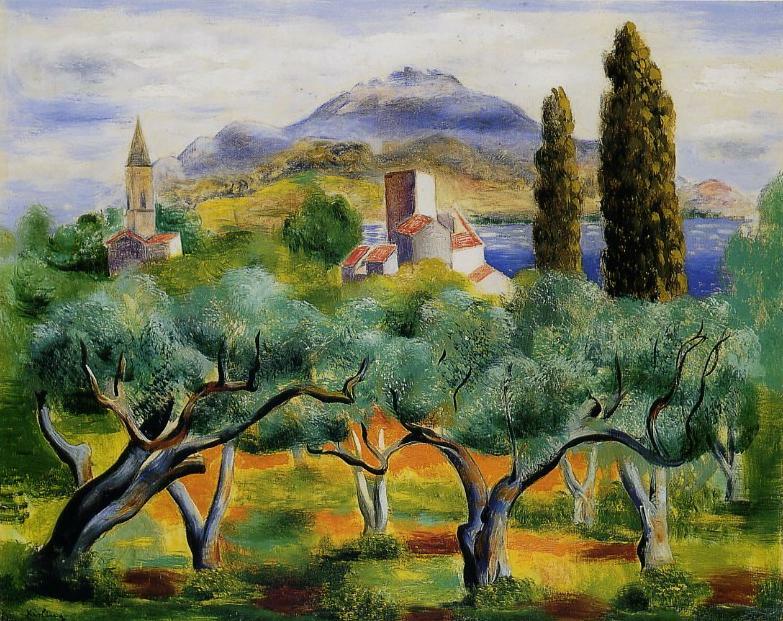 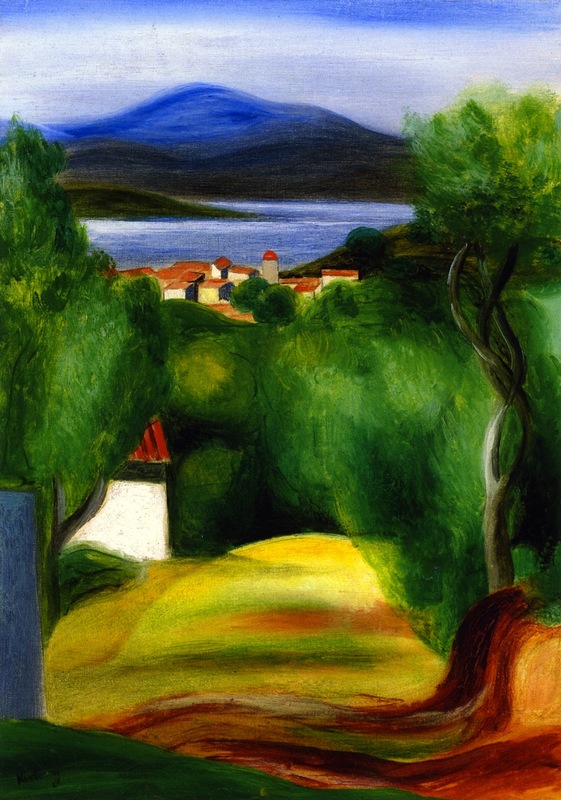 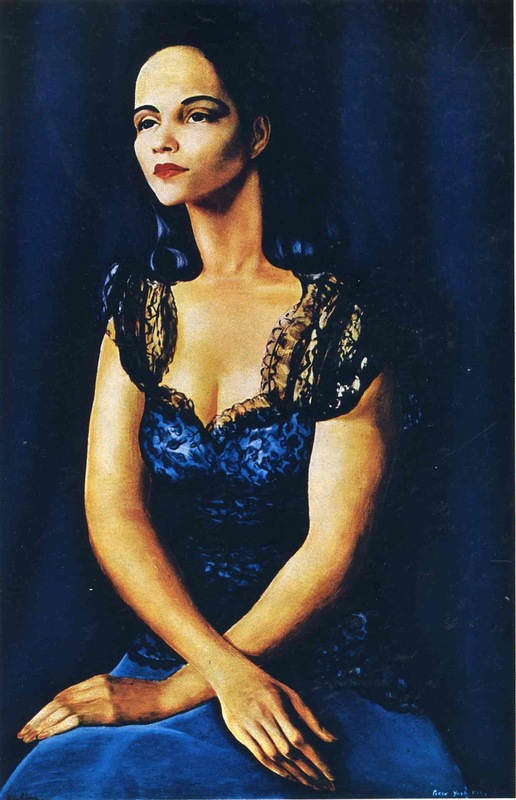 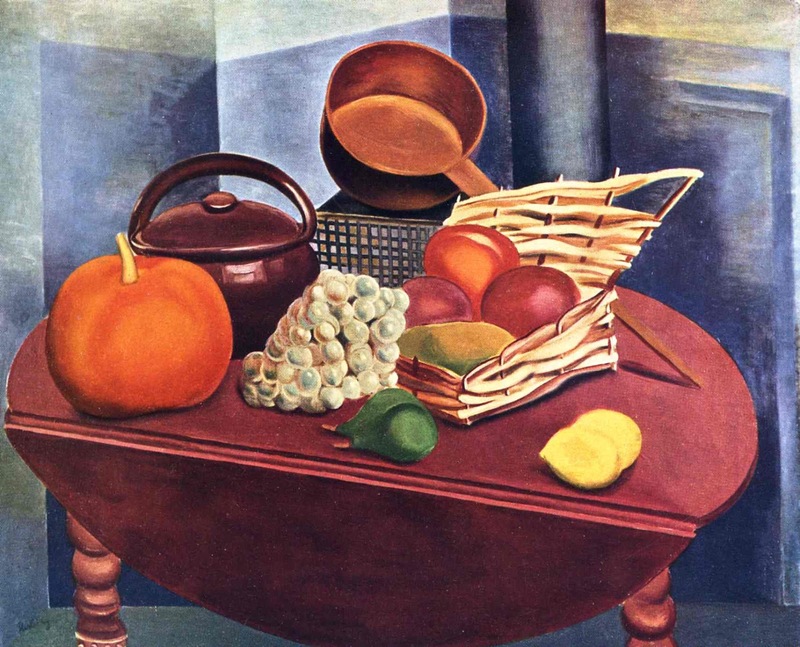 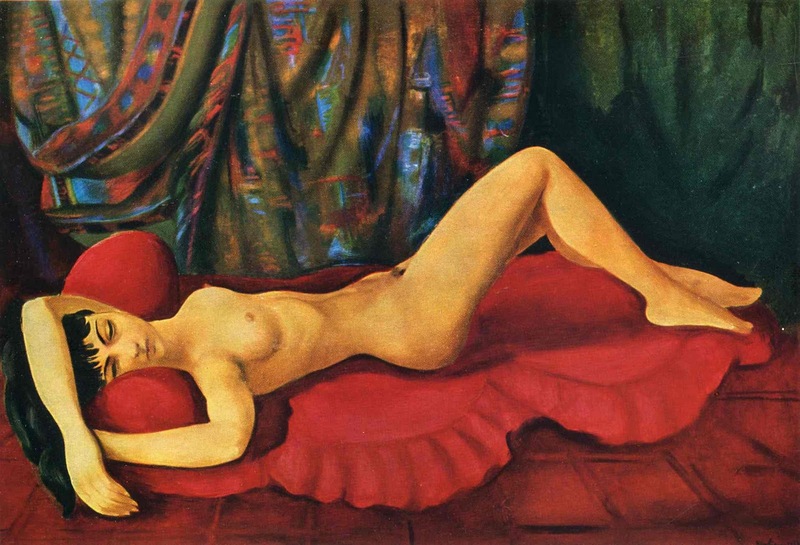 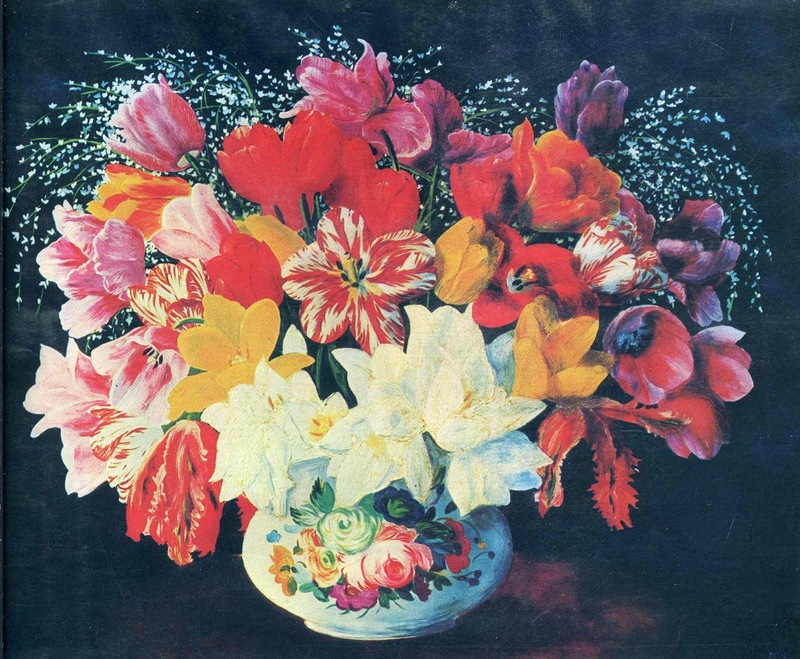 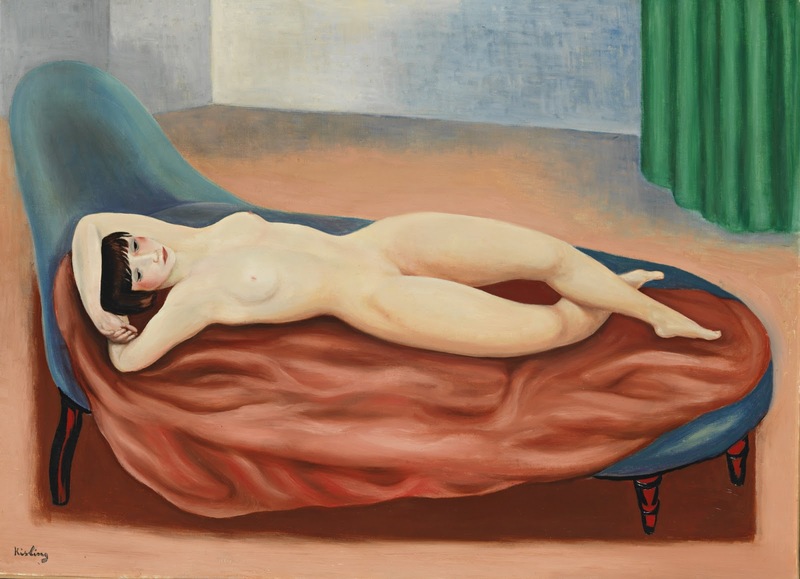 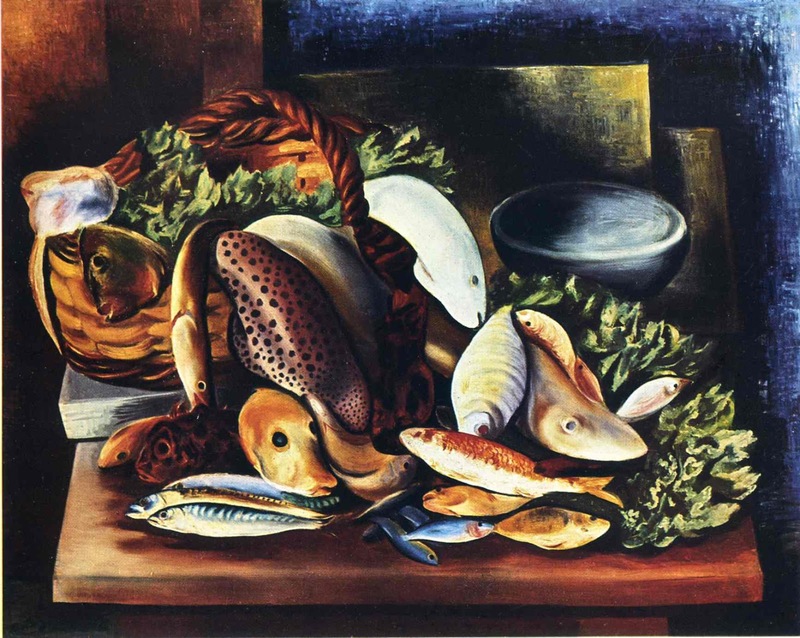 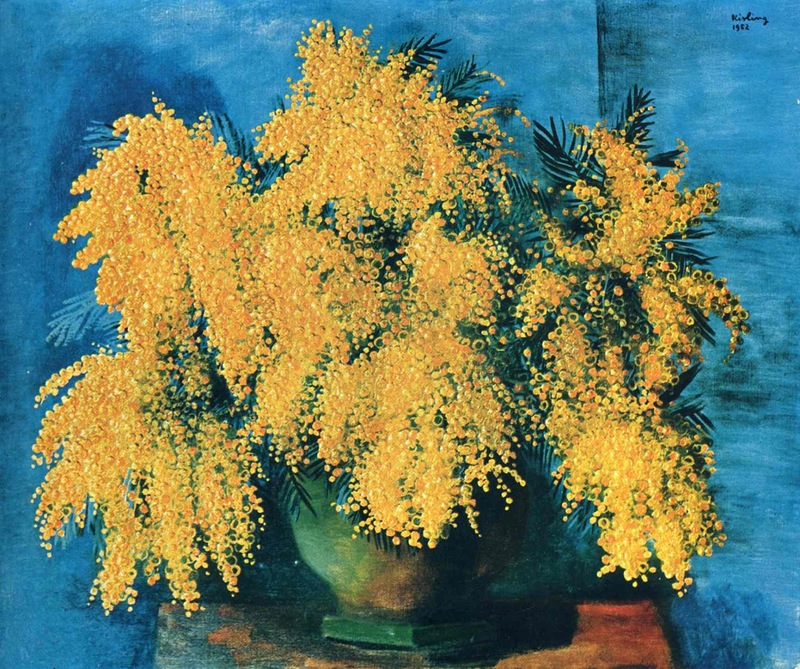 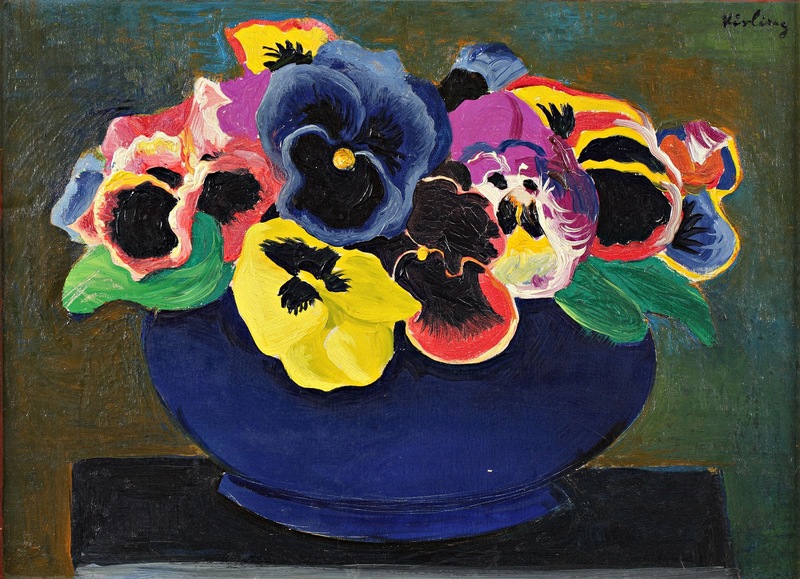 Moise Kisling died in Sanary-sur-Mer, Var, Provence-Alpes-Côte d'Azur, France on April 29, 1953. 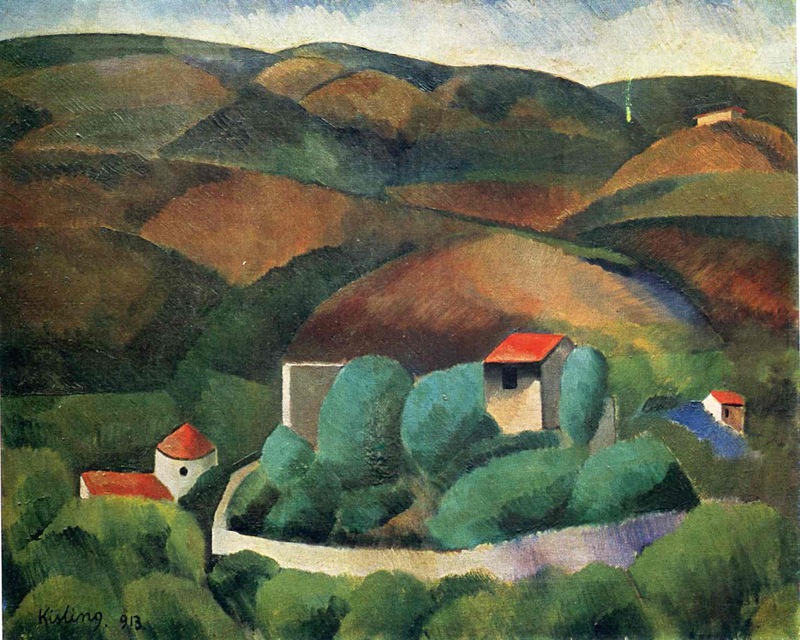 A residential street in the town is named after him. 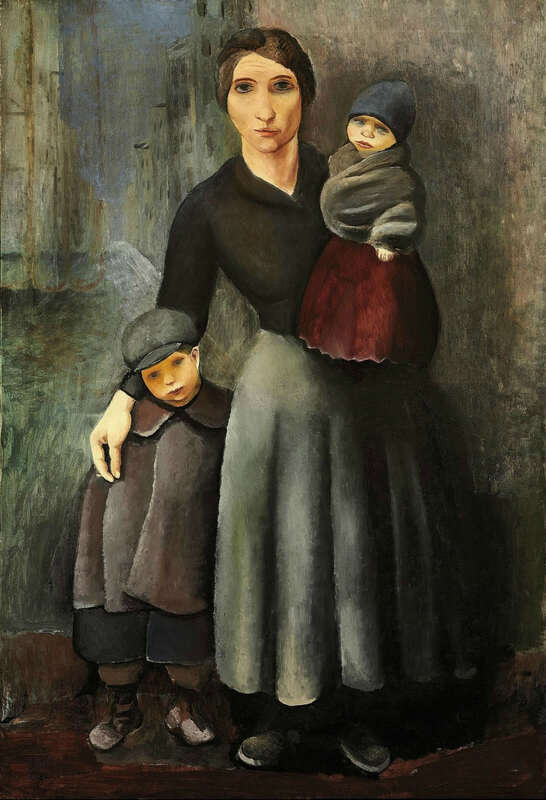 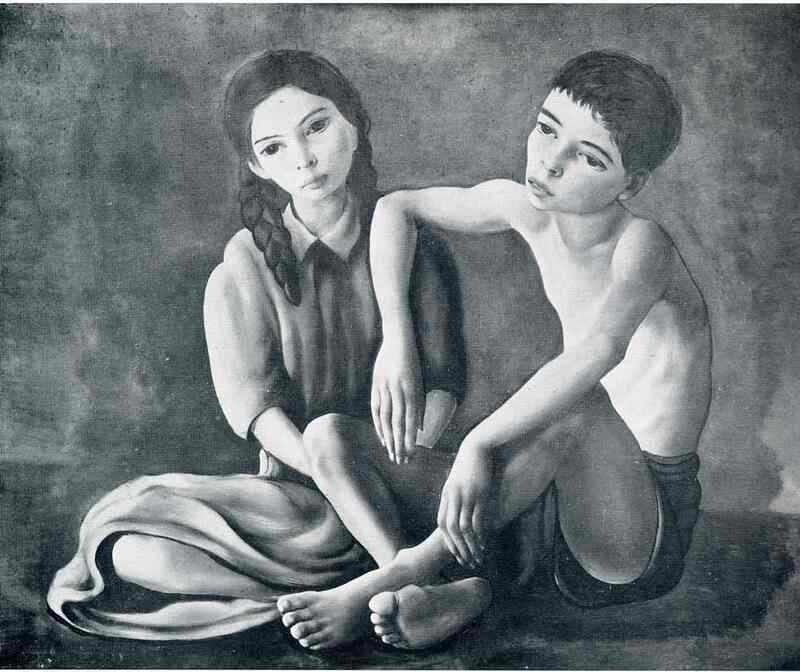 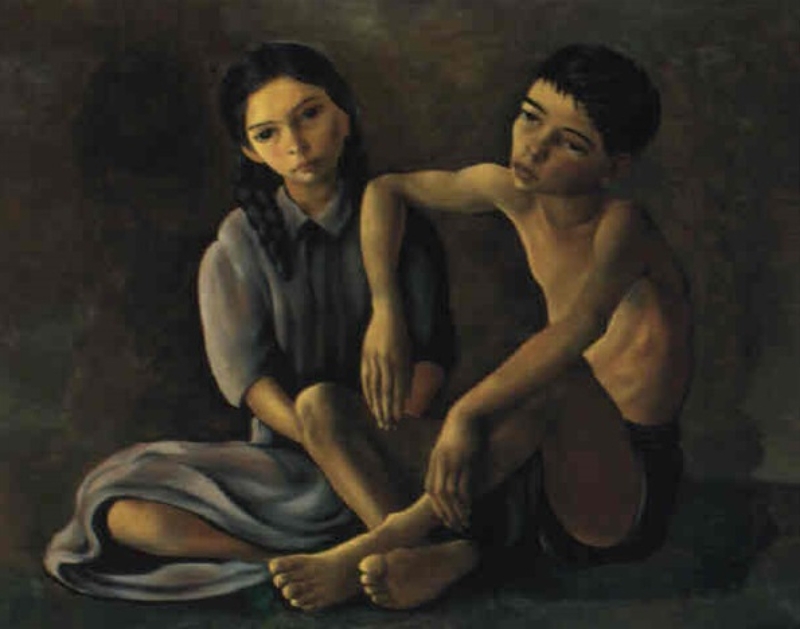 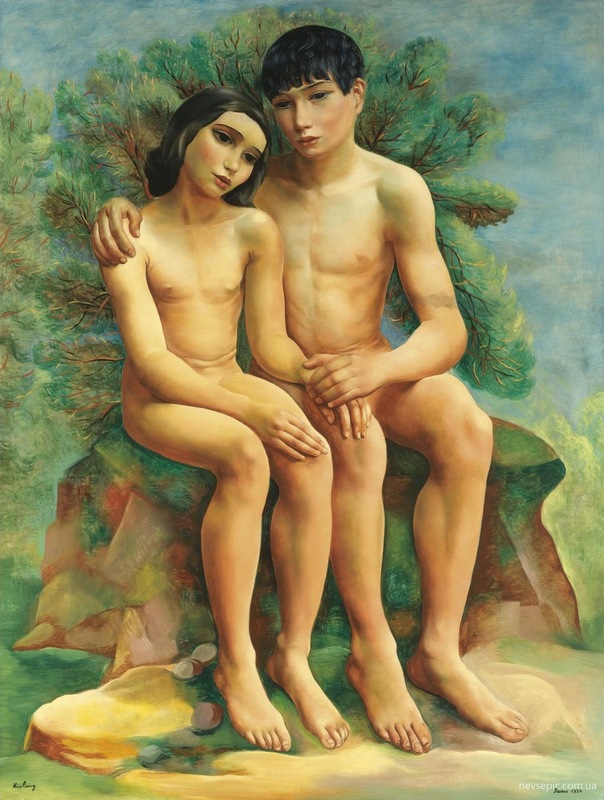 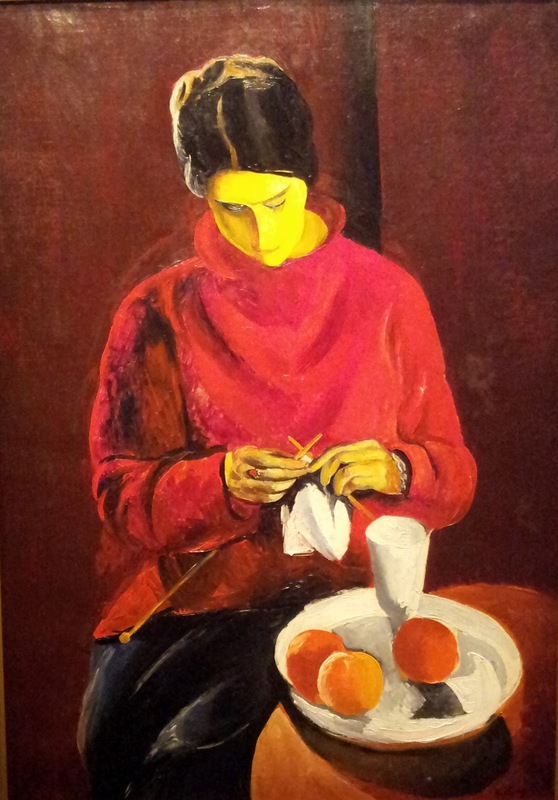 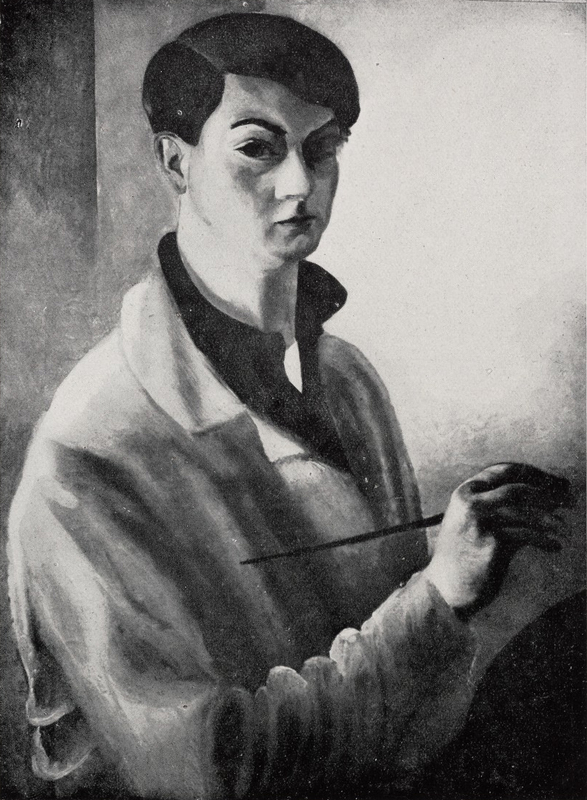 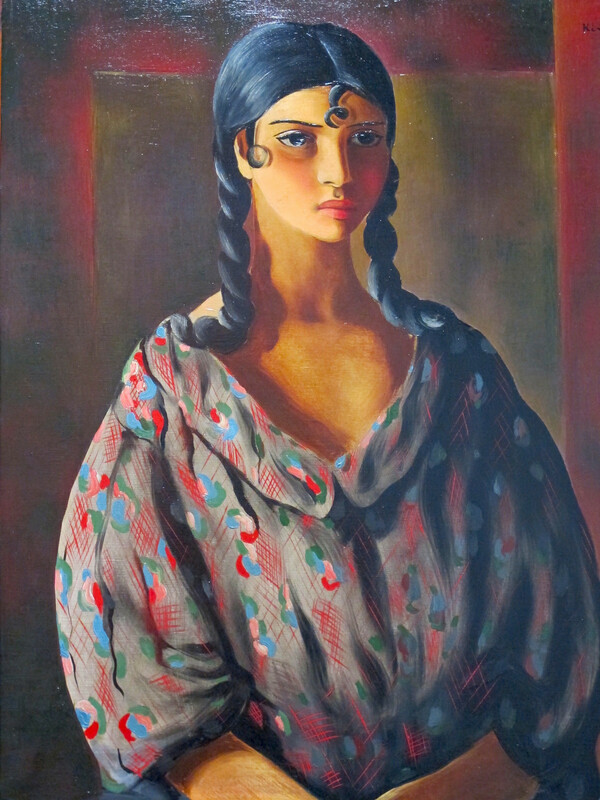 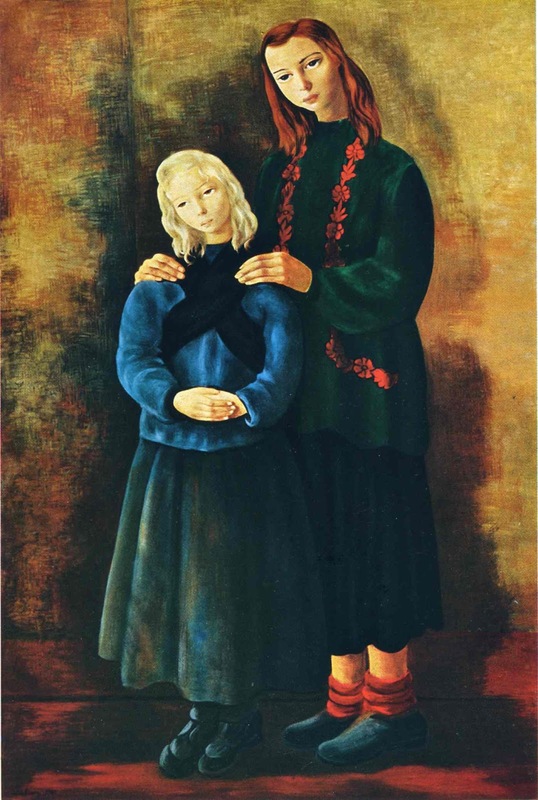 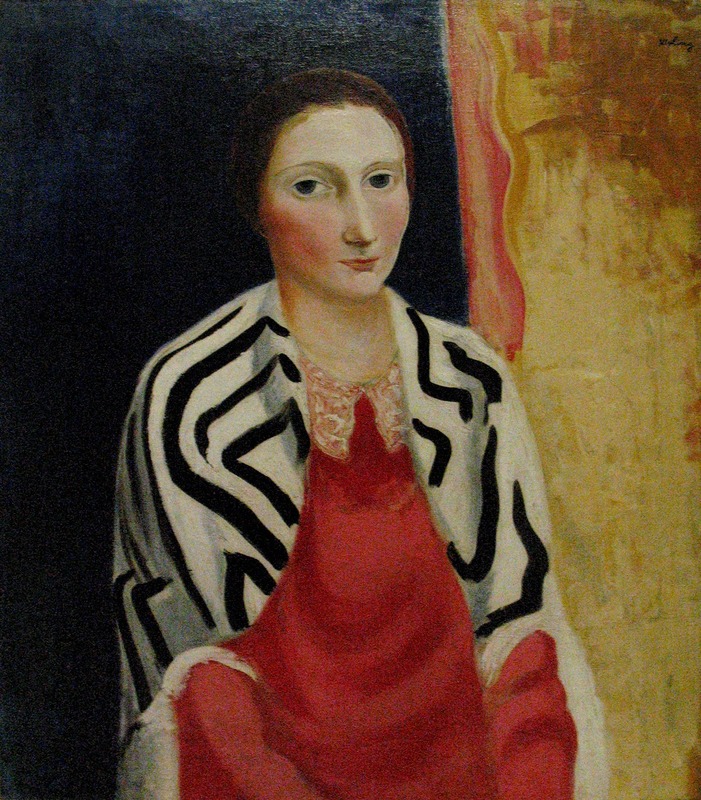 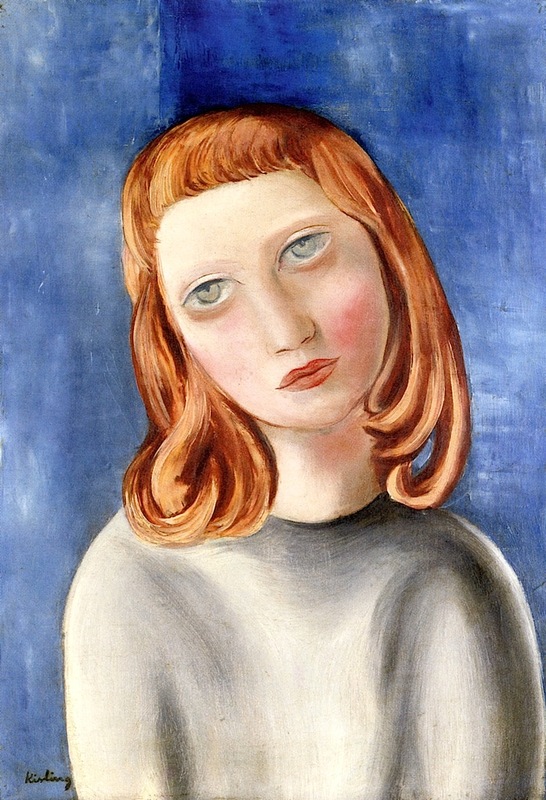 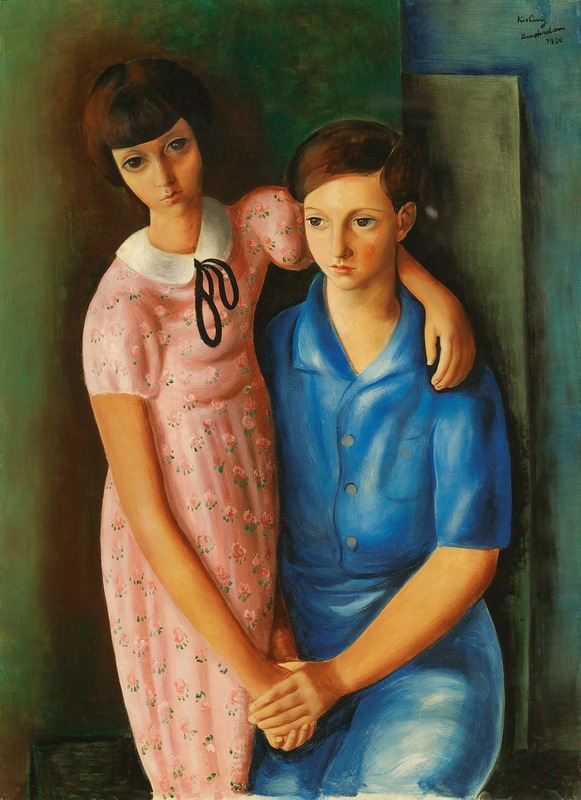 Nato da una famiglia ebraica, Moïse Kisling (1891-1953), studiò alla Scuola delle Belle Arti di Cracovia, dove venne incoraggiato a trasferirsi a Parigi, il centro della creatività artistica dell'epoca. 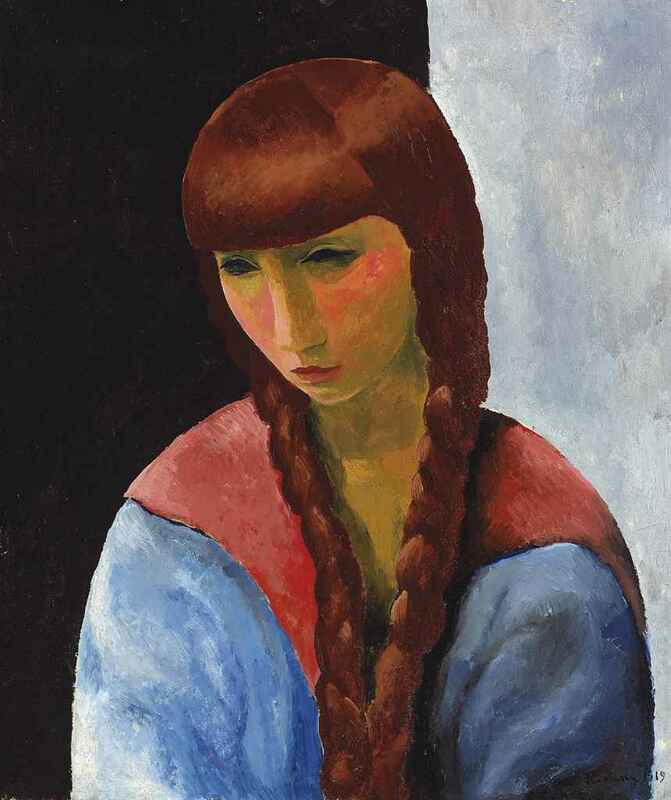 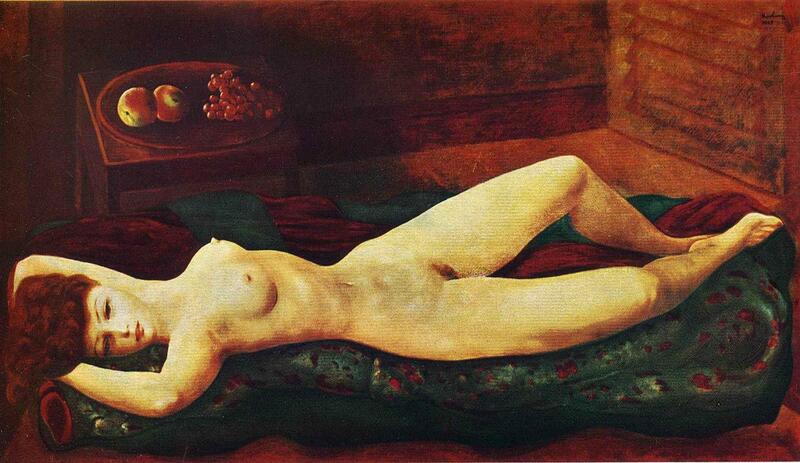 Nel 1910, Kisling giunse a Montmartre per poi trasferirsi, qualche anno più tardi, a Montparnasse. 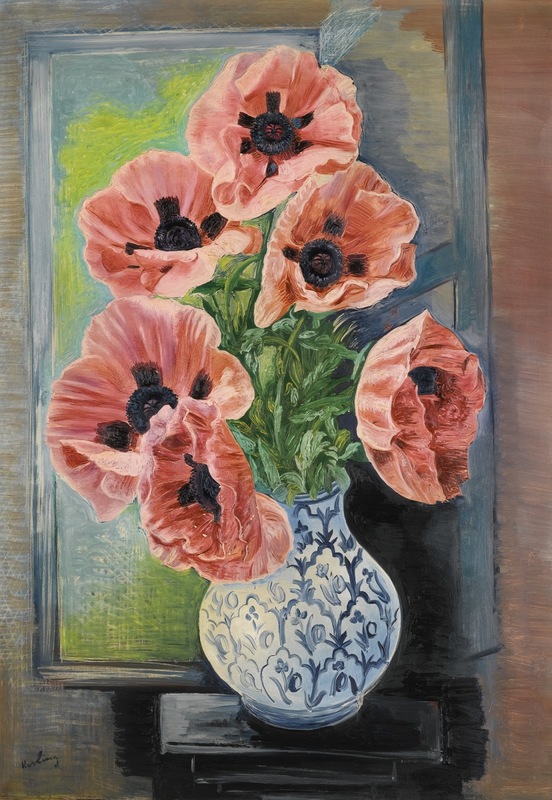 Allo scoppio della Prima guerra mondiale si arruolò volontario nella Legione straniera francese e nel 1915 rimase seriamente ferito nella battaglia della Somme, motivo per il quale fu premiato con la cittadinanza francese. 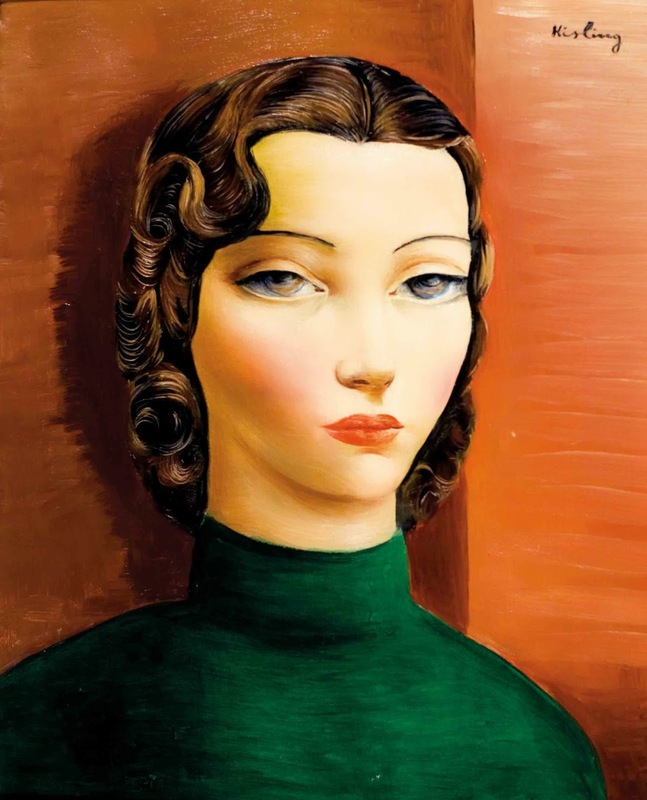 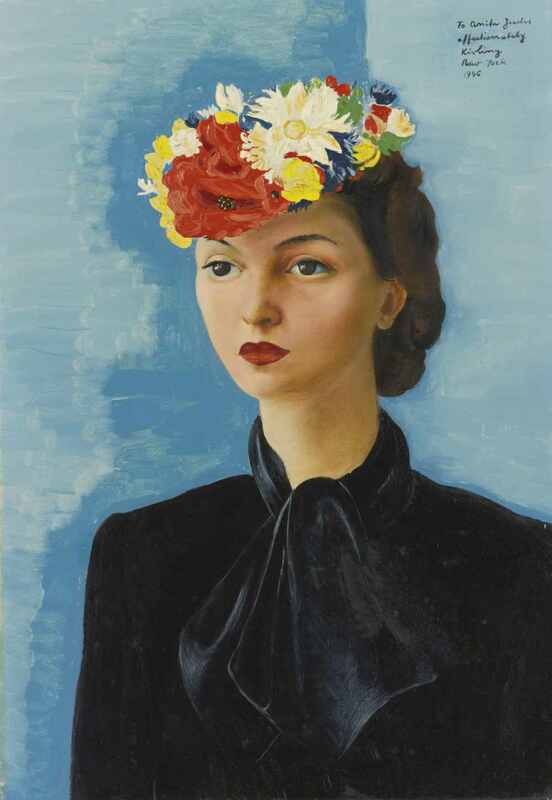 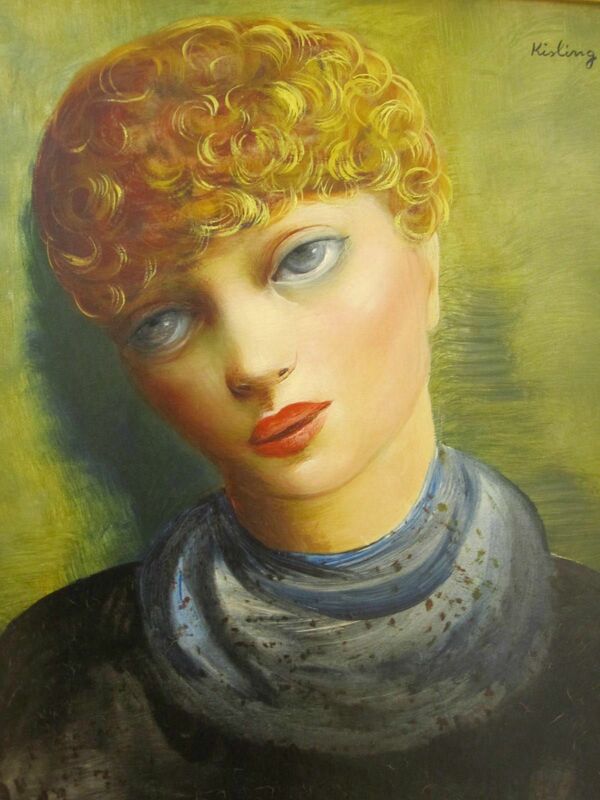 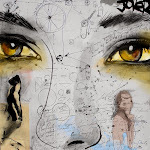 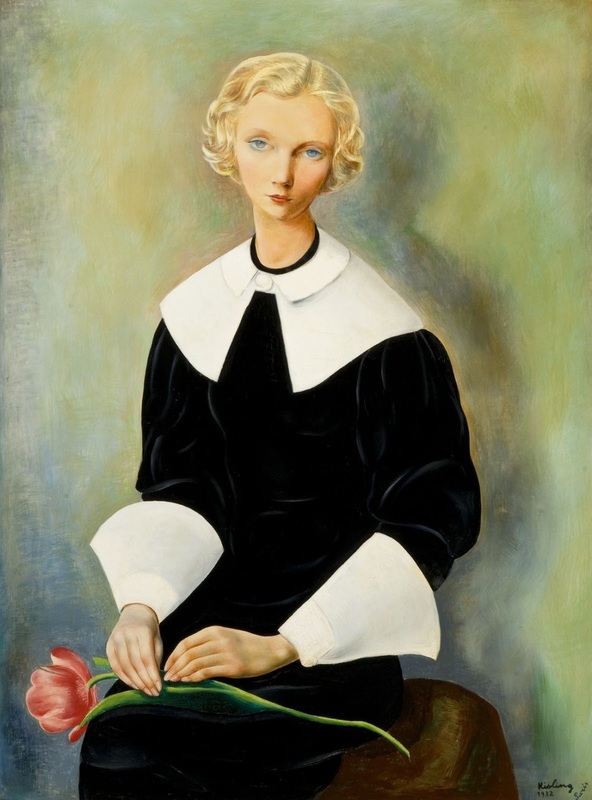 Kisling visse e lavorò a Montparnasse dove fece parte attiva della comunità artistica del tempo. 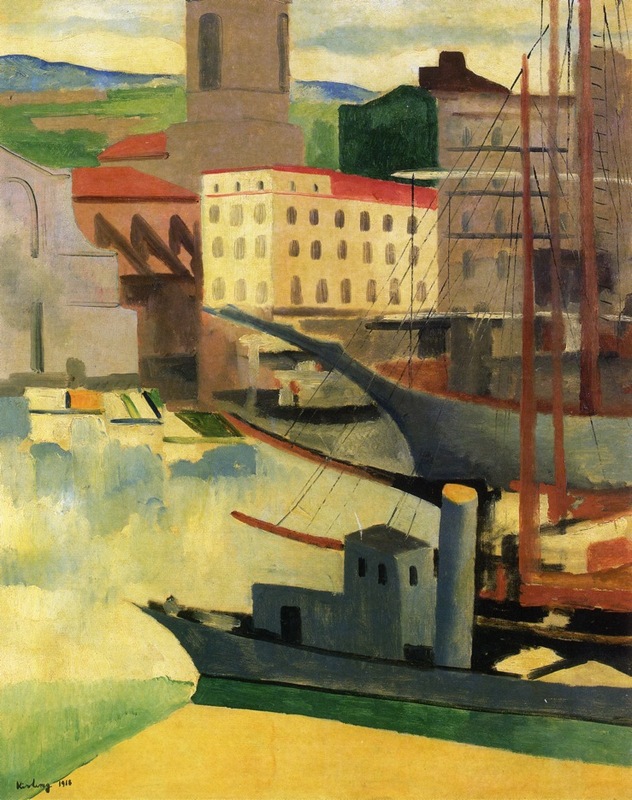 Per un breve periodo abitò a Bateau-Lavoir finché nel 1913 prese uno studio a Montparnasse, nello stesso edificio dove vivevano Jules Pascin e in seguito anche Amedeo Modigliani, del quale divenne amico intimo e dal quale fu ritratto nel 1916. 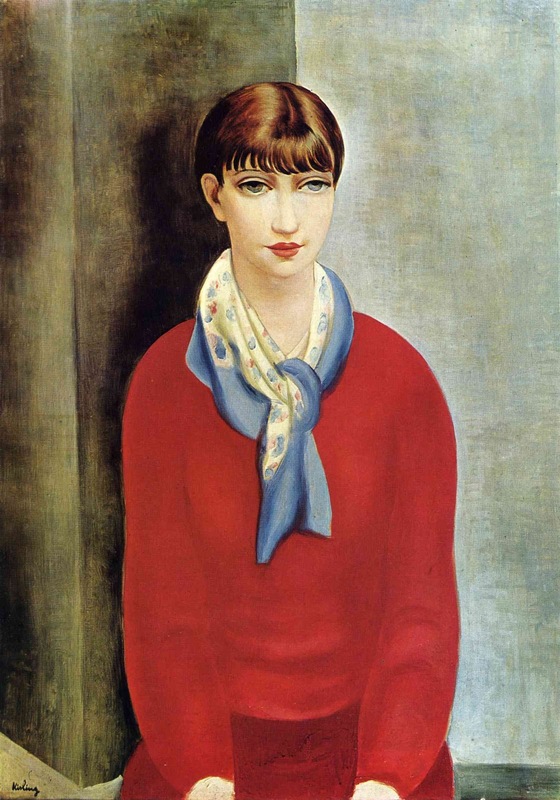 Lo stile utilizzato da Kisling nel dipingere paesaggi fu simile a quello di Marc Chagall, ma la sua fama fu dovuta soprattutto ai nudi surreali e ai ritratti. 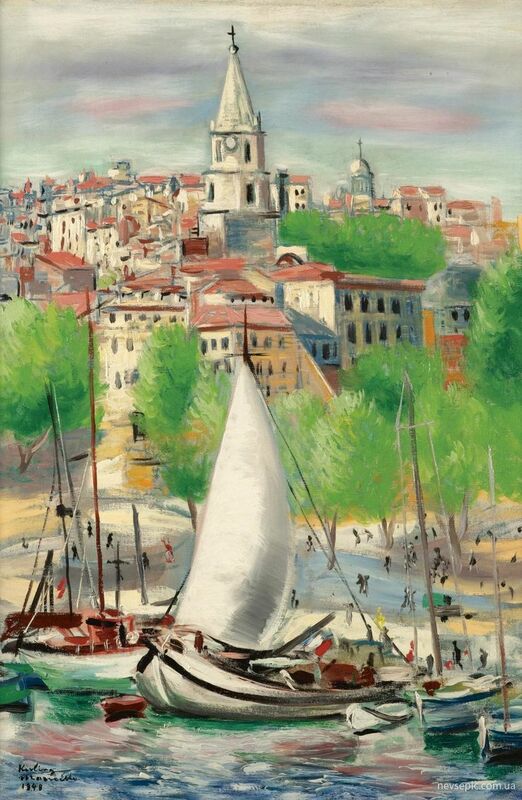 Moïse Kisling morì a Sanary-sur-Mer, Var, Provence-Alpes-Côte d'Azur, il 29 aprile 1953. 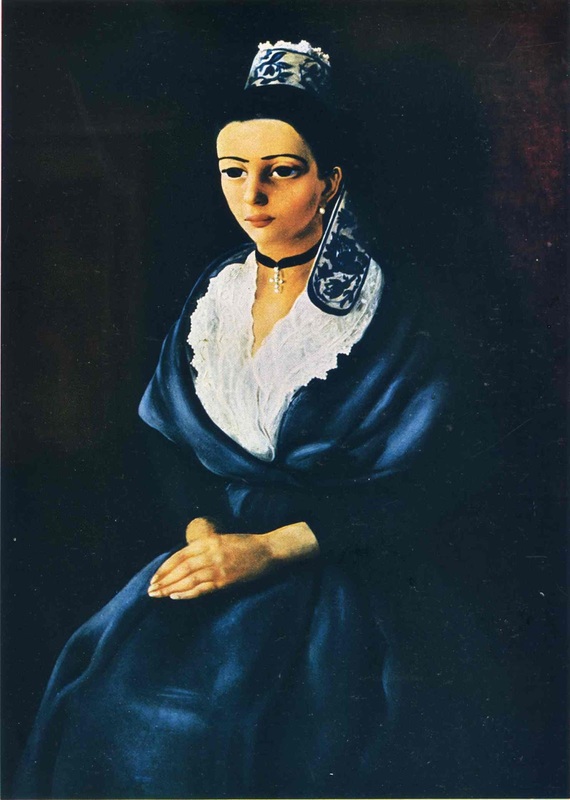 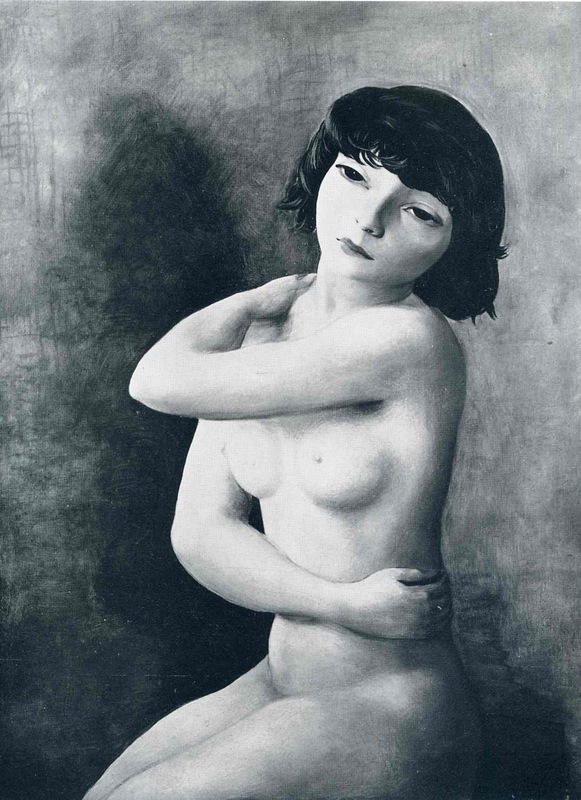 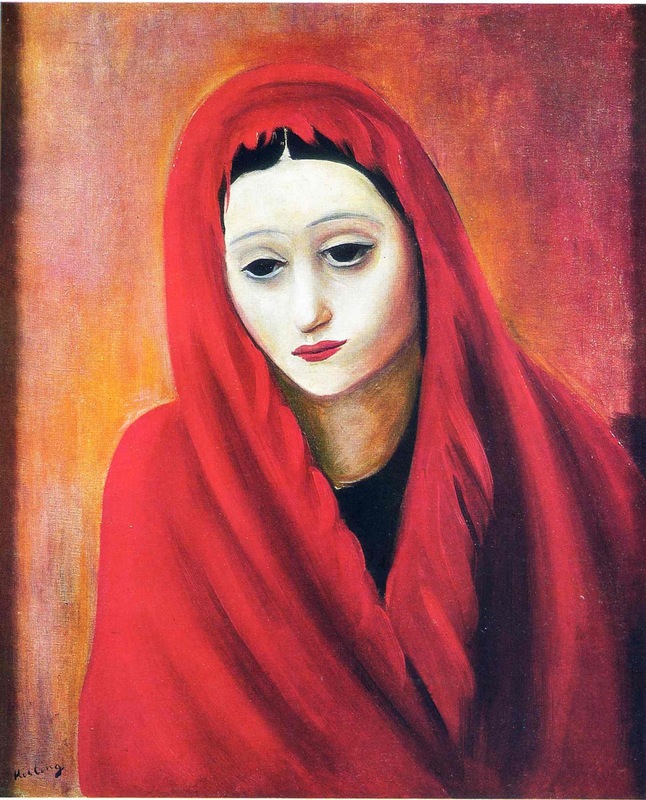 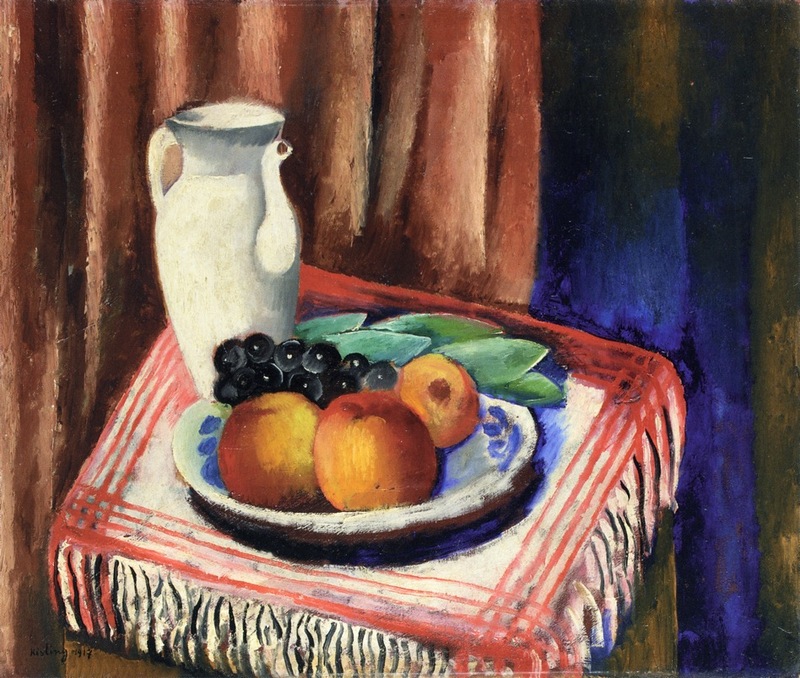 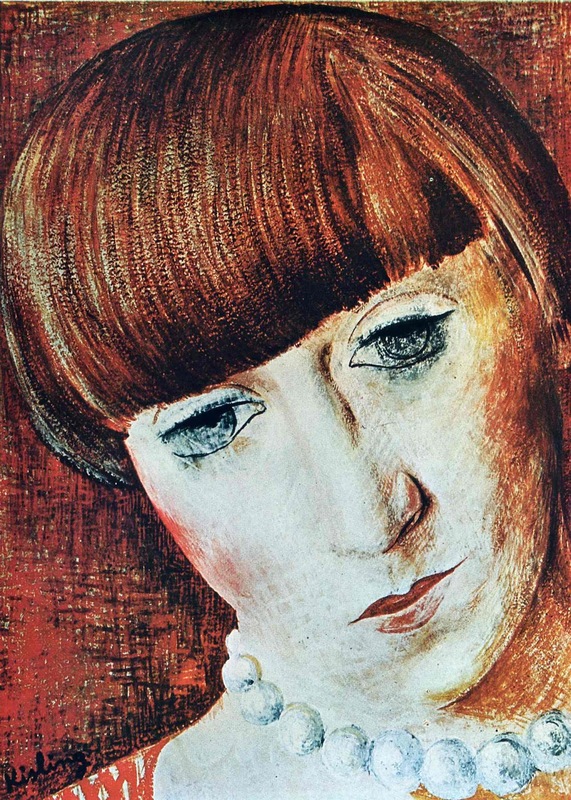 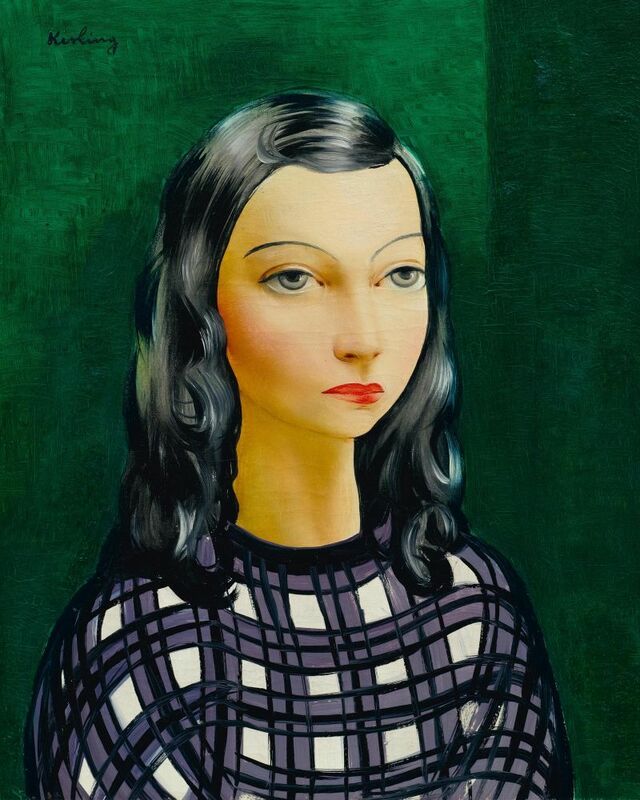 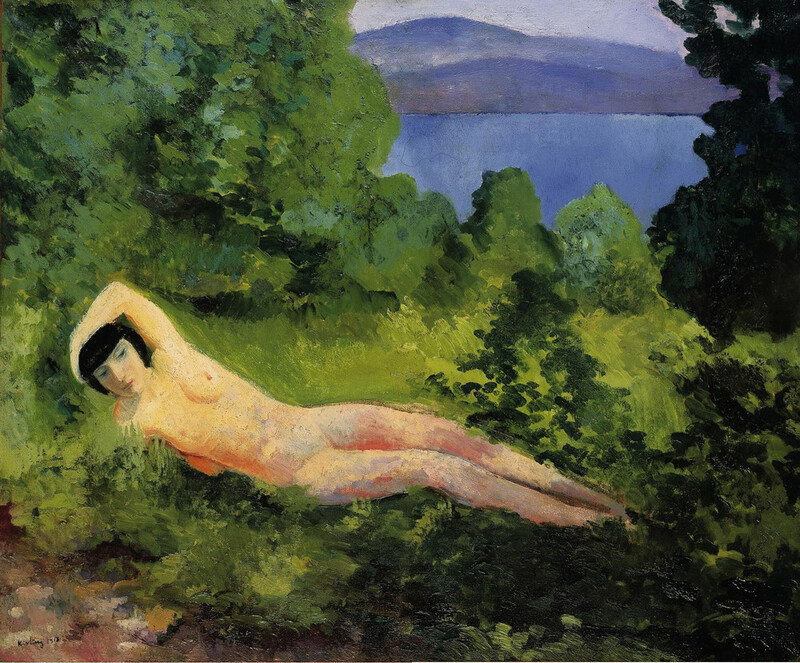 La più ampia raccolta delle opere di Kisling è esposta al Musée du Petit Palais di Ginevra.